The new Auditorium and the Alvin Kyte Athletic Field are completed. Two Fires, which were inadvertently started, caused more than $25,000 in damage and required 17 firemen to control the blaze. Enrollment in Tech for grades 10 through 12 is 1,832 students and OUSD estimates that enrollment will be 2,663 students in 1973. In March of 1962, President Kennedy traveled in a motorcade down Telegraph Ave. Principal Borum sent a letter home to all parents to inform them that unless they objected, their children would walk with their teachers to Telegraph Ave. to view the Presidential motorcade. An Inter-Racial Understanding Club was formed to discuss current civil rights problems. The Driveotrainer, a trailer with 12 auto-simulators, was the new classroom for driver’s education. A delegation of four Indonesian Educators came to Tech to learn about American high schools. The San Francisco Press Club awarded Scott Shearer, a Scribe reporter, first place for feature writing and a $200.00 scholarship. The award was presented by Pierre Salinger, former Presidential Press Secretary. The story for which he won was an interview with a former congressman on the situation in South Viet Nam. Scribe News won two National Scholastic Awards. Journalism Adviser, Dorry Coppoletta, won the Wall Street Journal’s “High School Journalism Teacher of the Year Award”. Tech welcomed an Exchange Student from Uganda. The California legislature passes legislation, the Greene Acts, which set deadlines for school compliance with seismic safety laws. Students and faculty distributed a petition seeking a student, faculty, community Interviewing Committee to interview and pass a recommendation on for candidates for Superintendent and Principal before anyone was hired. 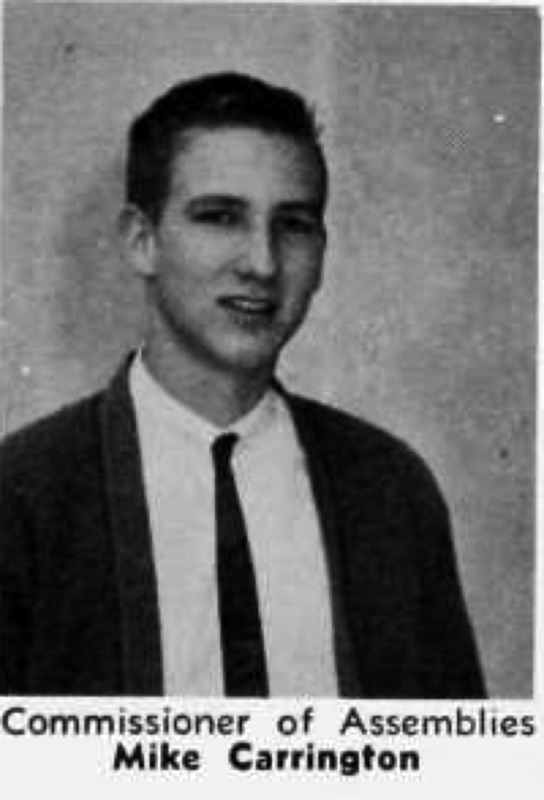 First, let me say that teaching at Tech in the ‘60’s was a privilege. We teachers should have paid the system! The student body was live, game, integrated, and energetic both physically and spiritually. What a joy! As the drama teacher, I could have done any play in the books. How about a rock Oedipus or Waiting for Godot (I have always regretted not doing Godot at Tech, but, of course the cast is skimpy – four, and all men). Why was the school so wonderful in those years? Maybe, it was partly the time, with ideas and verve slipping down Telegraph Avenue (the “Ave”) from Sather Gate! I started teaching there in 1959 (I was previously at Hamilton Jr. High). In 1959, the auditorium was where the library now is. The new auditorium opened in 1960, I believe. I did the first play there, The Adding Machine, an expressionist play by Elmer Rice. I thought the auditorium should be opened by a significant work of art. The reception was, shall we say, moderate. My daily program usually looked like this: Advanced Drama, Beginning Drama, Stagecraft, an English class, and two conference periods. The extra conference period was a balance for all the extra time (afternoon and night rehearsals) spent at school. The plays were mostly cast from my drama classes. The exception was musicals which were open to all students. 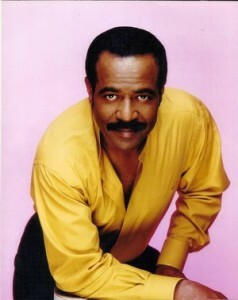 Ted Lange — The Love Boat, That’s My Mama, he’s now directing 2 series for BET. We get together maybe once a year. Notes on the auditorium: The Black Panthers once took over an assembly. They collected money for the Huey Newton Defense Fund! 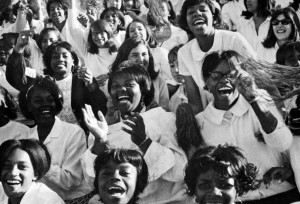 Huey Newton once spoke there in an after-school, voluntary assembly. (I had a Panther in Beginning Drama – Oleander Harrison – nice kid). One of my fondest memories of student life at Tech besides the general feelings of congeniality amongst students, the dirt practice fields for football, great basketball (one year), swimming (three high school all Americans) , track teams, and marvelous drama presentations (Our Town and Porky and Bess), was that Laney Trade was then located at Tech. We had machine shop, auto shop and Aircraft Mechanics. The later featured an actual air plane engine which the shop used to fire up, on occasion, during noon recess, and would thereby literally shake the entire campus with roaring vibrations. Have never heard of another High School that experienced that! My other fond memory is of doing the “Electric Slide” at junior and senior proms. None of my children, nor grandchildren, are likely ever to experience the “electric slide.” Their loss. Electric Slide was two lines of couples facing each other. The couple at the head of the line danced (the electric slide, a lot of sliding of feet and a little improvisation) down between the two lines to the end and took their respective places. And in this manner the lines rotated from top to bottom to top… then slid back to the bottom. When we got together to plan the reunion, I asked about a class gift. The principal took me to the music teacher who, in passing, mentioned the piano, in a box and shoved into a back corner, as the dream too expensive to consider. The school had purchased it at Steinway in 1917 and had it shipped by rail. The restoration, by J.B. Piano in San Rafael, took several months and cost nearly $24,000. We were heartened to see how many people embraced this project. Many contributions came with notes honoring their music teacher from some class, in memory of a departed loved one, in honor of the school, etc. We were also able to add a piano bench. We are proud of what we were able to do for our school! I liked going to Tech in the late fifties, but I didn’t really didn’t appreciate the experience until many years later. Tech was a wonderful learning experience, because not only was there an outstanding faculty, but there was an exceptional mixture of students from different races and cultures. I believe we all learned a lot about living with one another. Mrs. Burns, the typing teacher, was so nearsighted that Dennis Lamberti climbed out the window during class and she never noticed. In Dr. Costy’s English class a student named Bill Hausler was unhappy with the teacher’s opinion, so he snapped his fingers while demanding, “Costy!…Costy! from now on I’m demoting you from Dr. Costy to just plain Costy!” I don’t remember if Dr. Costy ever let Bill back into the class. I moved to Oakland from Berkeley with my mother when I was in 8th grade. I lived in Rockridge and started at Holy Names High School, but my interest in journalism led me to transfer to Oakland Tech. Tech was a decent place to go to school. There were racial tensions, violence, and a high drop-out rate for African Americans. My class was the last to graduate before the opening of Skyline High School and I remember meeting nice people, some of whom I’m still in touch with, going to the drive-in on Telegraph Ave. for hamburgers, cruising in cars on Friday and Saturday nights. There weren’t any AP classes back then, but I took classes at Oakland City College during my senior year and really enjoyed that. I was the editor of the Scribe and also a National Merit semi-finalist. I loved World Affairs (History) taught by Mr. Vartanian, who taught me how to take notes and prepare for college. I went to UC Davis and then Cal where I received a degree in Philosophy. I became a journalist and magazine editor. It was fun to be a Technite. I’m a big fan of the city of Oakland and love it when people are surprised to hear I went to Tech. Congratulations to Tech on turning 100! My family came to Oakland from New Mexico in 1941. My dad worked in the shipyards during the war. I went to Tech from fall of ’58 to spring of ’61 but ended up graduating from Fremont due to a family move. In the 50s and 60s there was some racial tension between whites and blacks, especially when Tech played McClymonds High in sports, but it was very sporadic. I consider the education I received at Tech to be the reason I graduated #1 in my Optometry class in 1967 and was fortunate enough to lead the leading Marching Band in the country at the time, the Cal Band. My years at Tech taught me leadership, racial tolerance, and tenacity. The teachers at Tech taught me well and I am proud to say I was a Bulldog. During my time at Tech, there was a strong school spirit, and people were proud of our school. There was a big theatrical production every spring called Patterns in Tone and there were plays every year — my favorite memory was when my 3 best friends and I performed in Noel Coward’s Blithe Spirit. 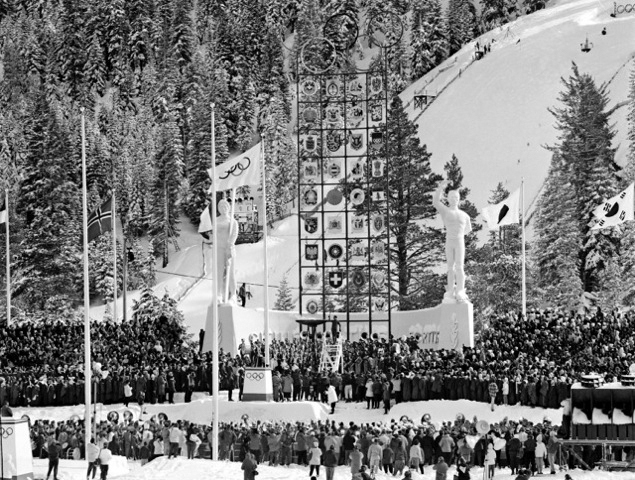 In my senior year our choir participated in the opening ceremonies of the 1960 Winter Olympics in Squaw Valley! A thrill for sure! I love that I had the opportunity to attend school with students from different backgrounds, and I believe that prepared me to live as a responsible citizen. I love the spirit of the people I met when I entered Tech High: a spirit of care, fun, support, camaraderie, and friendship. As a sophomore entering Tech, I had challenges as a polio survivor since the 8th grade at Westlake Jr. High. Even though I had progressed from two crutches down to one, when I started in my new school, my doctor insisted that I should use two crutches again, because the kids were not familiar with me and my limitations and I might get injured. So there I was, my first year in high school and back on two crutches. There were no Paratransit vehicles at that time and the only means of disabled transportation to school was by taxicab. I wanted so badly to walk home with the other kids. After some time passed, I would occasionally and increasingly tell the driver not to pick me up after school. My brother, Charles, and several other kids would walk with me, needless to say, at a very slow pace, from 45th and Broadway to 52nd and Shattuck (15 or more blocks). They carried my books, my purse, sometimes my coat or sweater, and my gym bag. No one complained. They were always patient, encouraging, and helpful throughout my first year in high school. I finally made it back to one crutch before the end of the first semester and finally, no crutch for the rest high school. To date, I am still in touch with some of those friends. 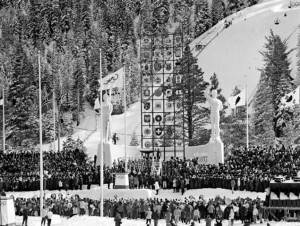 I had great friends on the swimming team and had memorable times with the choir, especially when we participated in the 1960 [Squaw Valley] Winter Olympic opening ceremonies! I was very fortunate to have my two best friends along, Cary Tremewan and Steve Cuthbert, fellow members of the swim team whom I had convinced to join the choir. It was a great experience, and 54 years later I remember it vividly. 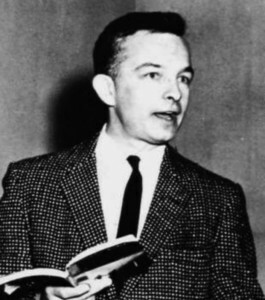 The choir was very important to me, and [director] Mr. Harry Spencer was a mentor to me in many ways. I was selected to conduct the Senior Choir at our graduation, thanks to him. I have always been told my maternal grandmother came to Oakland from San Francisco after the 1906 Earthquake. 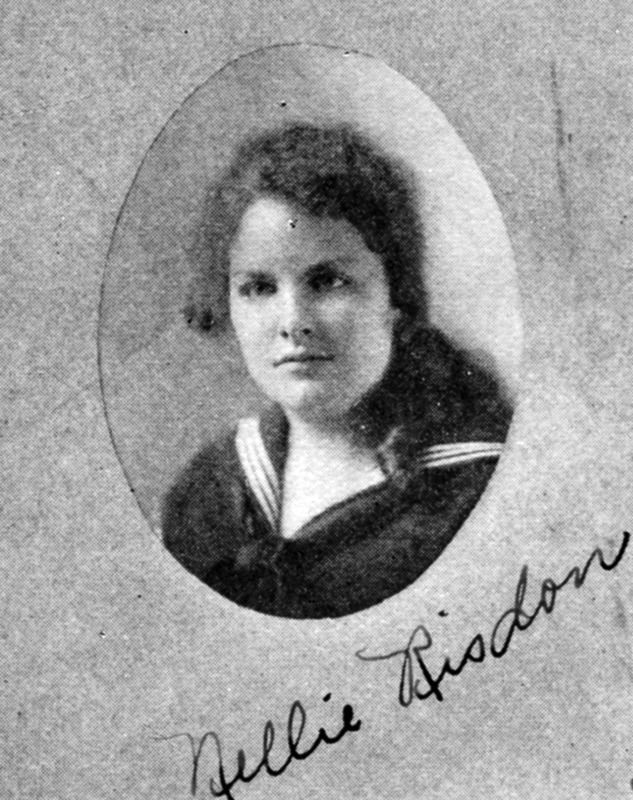 She originally immigrated to San Francisco in the 1890’s from Sweden. My father’s parents immigrated to the Napa Valley (near Rutherford) also in the 1890’s. When my father married my mother, he wanted to build a house near Vallejo (he worked at Mare Island) but there was no Carquinez Bridge (had to take the ferry from Crockett) and my mother did not want to be that far from her mother. So, my parents lived in North Oakland, eventually purchasing a “flat’ at 754-756 60th Street where we lived downstairs and my grandmother lived upstairs. 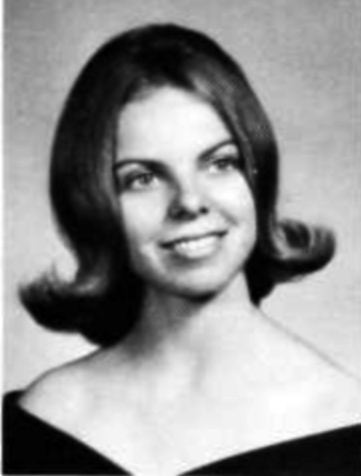 By the time I attended OTHS, we lived at 544 Aileen Street near Telegraph (Temescal District). School assignments were geographically based – you were assigned to a high school based on where you lived. The City was divided into five high school sectors (Oakland Tech, McClymonds, Oakland, Fremont and Castlemont – Skyline did not exist). 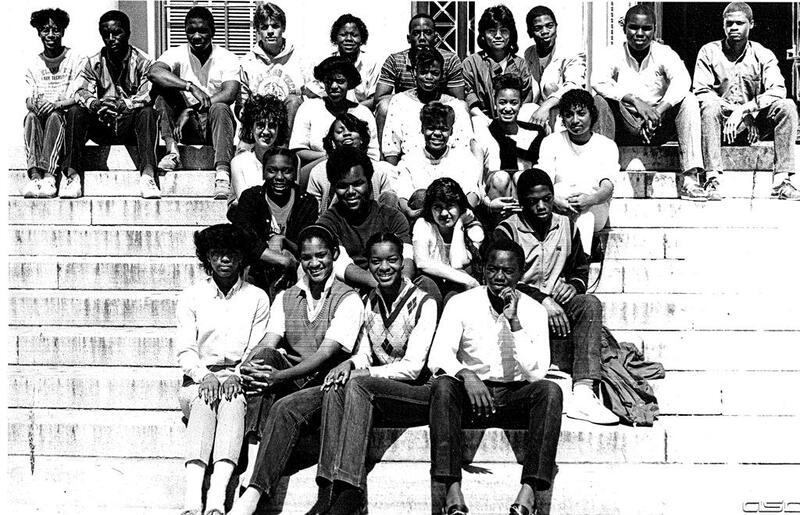 Because school attendance boundaries were generally drawn from the hills to the “flatlands” all high schools had very diverse student bodies (except McClymonds that primarily served West Oakland). My father went to McClymonds because he lived with his sister in Oakland during his high school years due to lack of educational opportunities in the Napa Valley during the early 1900’s. I always thought I would be going to University High School on Grove Street (now Martin Luther King) from where my mother graduated, but it closed prior to my high school years (became Merritt Business College and then Oakland City College). 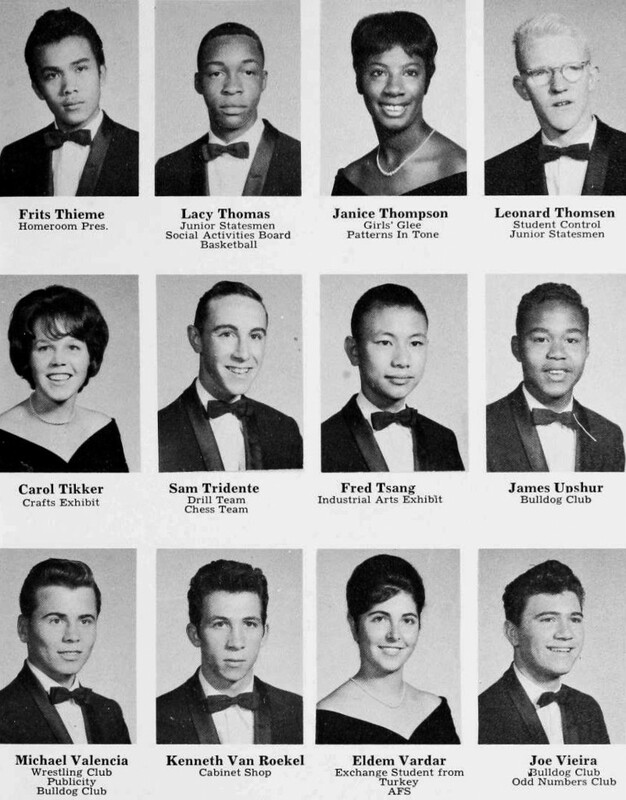 You hear a lot about alleged racial divides during the 1960’s, but that certainly was not the case at Oakland Technical High School. We had a very diverse student body with an African-American Class President. No one thought much about race then. We all just got along. I think things changed when Skyline High School was built and the attendance district drawn to include only hill-area residents. Most of my time was spent with the ROTC Unit (see below) and I wasn’t that involved in other school activities. I don’t think I ever had any real “hard” times except preparing for some classes. If I lacked interest in a particular topic, I would put off studying until the last minute and, of course, sometimes not doing too well on the examination. 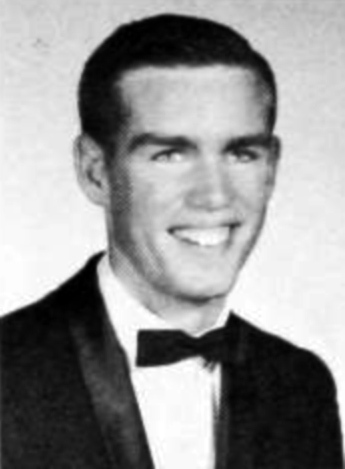 I was primarily involved with the ROTC Program – Leader of the Competition Platoon and Member of the Eagle Drill Team. It was this involvement that led me to enroll in Air Force ROTC in college and then on to a career in the United States Air Force and Air Force Reserve. I credit the ROTC Program as being a major personal development and turning point in my life. Terrance Carroll – Mechanical Drawing: Mechanical Drawing was one of my favorites and a class I looked forward to going to everyday. I only recently learned that one of my son’s friends is his daughter. Master Sargeant Richard Davis – ROTC: The start of my interest in the military service. Master Sargeant Carroll Goodman – ROTC: A real leader who was an important element in my life development. After OTHS, I graduated from San Francisco State University. As previously stated, I was a member of the SF State Air Force ROTC Unit and, unlike a lot of my classmates, I knew that I had a “job” (with the US Air Force) when I graduated. That accompanied by the fact that ROTC officials monitored my grades and class standing made sure that I was on track for an on-time graduation. Immediately after graduation from SF State I went on active duty with the US Air Force and was assigned to a base in New York. While stationed in New York, I met and married Mary Ann and we have been together for 43 years. I remained on active duty for five years and then transferred to the Air Force Reserve where I served for the next 25 years. I retired as a Colonel in 1996. In 1971, I joined the Oakland Police Department working my way through the ranks to Deputy Chief of Police. In 1995, I transferred to the Vallejo Police Department as Chief of Police and held that position until I retired from law enforcement in 2012. I have been a member of the planning committees for the last three class reunions (30, 40 and 50 year). As a result, I have on-going contact with several class members and, while we are not close friends, we exchange emails and see each other on a fairly regular basis. 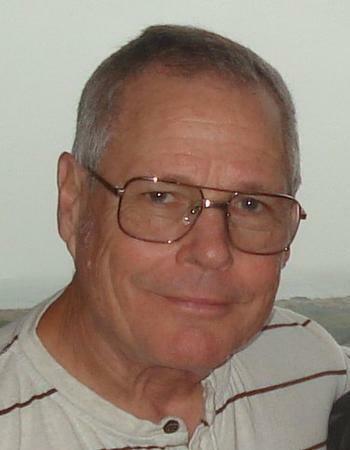 Steve Ernst – Steve is retired from the Bank of America and lives in San Francisco. We have dinner in SF about 4 times per year. 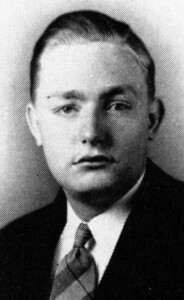 Ron Williams – Ron joined the Army after high school and learned to speak fluent German while assigned to duty in Germany. After the Army he became a German television personality. We visit whenever he comes to the US. Things that did not seem very important in high school become critically important later in life – I wish I understood how important understanding history is. I just thought it was a boring subject until I lived it (while I was stationed in Korea, for example). I am always proud to say that I am from Oakland and an OTHS graduate. When I was with the Oakland Police Department, being an Oakland resident and a Tech High graduate always “opened doors” for me. Several years ago (maybe 1985) I was responded to a murder at OTHS – a student was stabbed while on the second floor. I was sitting in the Principal’s Office and noticed a color photo of the front on the school hanging on his wall. No one working in the office had any idea when the photo was taken. However, I knew it was a 1959 photo that appeared in the front of the Yearbook and I was able to identify many of the students pictured. Gave me a lot of credibility. I like tradition and Tech has 100 years of it. Too bad the inside of the building is so different, but I’m glad it still has the same exterior. As stated above, what seems unimportant and boring today, will become critical in later life. Education is important so make the best of the short time you have in high school. Though he has a relatively low profile in the United States, Ron Williams is a well-known actor, singer, and performer in Germany, where he has lived for more than forty years. 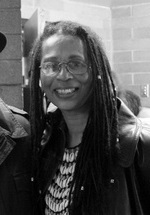 Williams joined the military after graduating from Tech and was stationed in Stuttgart as a military journalist. Though he spoke no German initially, he became fluent and started his career in the entertainment industry doing impressions and politically incorrect humor, which was not the norm in Germany at the time. 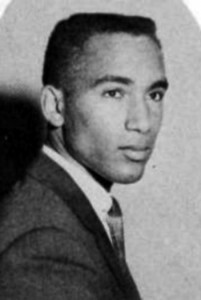 Much of Williams’ career was devoted to exposing racism, which he has said was inspired by his own experiences. 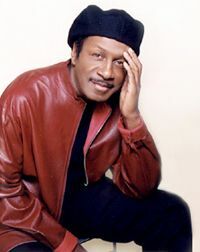 Besides his over 800 television appearances, radio, and other broadcast work, he has performed in stage musicals as Martin Luther King, Harry Belafonte, and Ray Charles, earning accolades and awards for his work. I was an early “performer” during my High School days. 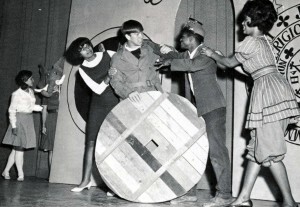 There was an annual talent competiton held at the Oakland Auditorium each year between all Oakland High Schools. I think it was sponsored by “The Dad’s Club” (?? )…Anyway, it was a pretty big deal to win as a singer. And since we couldn’t get our Bulldogs football team to ever defeat McClymonds High, Oakland High, etc. (if I remember right..) I decided to do my best to at least beat them at “the singing game”. As the winning soloist for Tech we won the Trophy!!! In my Senior year I was chosen to run on the same ticket in our Student Body elections as a Candidate for Vice-President along with Oliver Brown as President. We won. In our R.O.T.C. (Reserve Officer’s Training Corps) Unit I was promoted to the rank of Captain which, belive it or not, gave me an edge during my later Army Training and Duty in the States and in Germany. Oakland Tech gave my life a brand new direction. I’d come from a very turbulent childhood with 5 Foster Homes and 5(!) Grade and 3(!) Junior High Schools and lots of moving around. Those final years spent at Tech really saved my youth and put me on a path in life that has proven to be the best I could ever have taken. Ronile is part of a family of three generations of Tech alums. 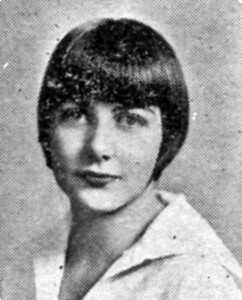 Her grandparents were married in 1912 and built a house on Mather Street, across from Tech. Ronile’s great aunt was in the first graduating class at Tech and Ronile remembers hearing stories about school bonfires and speeches in those early days. In total, 11 of Ronile’s family members went to Tech, with teachers knowing the family through the different generations. Growing up across the street from Tech, Ronile would hear the first bell ring in the morning and knew she had just enough time to get to school. She remembers it feeling like “Happy Days” at Tech, with a focus on cars and hanging out in the back of the school to smoke. Big cars like the ’57 Chevy and customized trucks were popular with students. There were sock hops and dances, and even though the Civil Rights movement was starting, Ronile said she didn’t feel the impact yet at school. Students chose one of three tracks: college prep, business courses and industrial arts (auto shop, wood and metal work, drafting). Music was always big at Tech with an excellent orchestra! Ronile was active in the Representative Assembly (student government), the Future Teachers Club, and the French Club, which culminated in an end-of-year French dinner prepared by the French teacher. 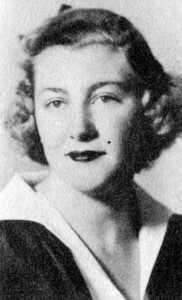 Miss Ward and Mr. Bartanina were two of her favorite History teachers, which Ronile ended up majoring in at San Francisco State. The journalism teacher, Ms. Crystal Murphy, was also an inspiration to the students. The Principal instilled pride by going around and cleaning the school. Corporal discipline was in place with the use of a paddle. She is still friends with three women, who lived together during college and still see each other when they can. Tech taught her to have loyalty to her school. She says Dr. Bliss demanded it! My name is Judowibowo Poerwowidagdo. My nickname is “Bowo” not “Bobo”, although some friends seem to confuse my nickname and our school mascot. When I was in the final year of High School in Solo, Indonesia, I saw an ad about American Field Service Exchange Students Program. So I applied, passed the test, and was selected by the AFS Committee. I was notified that I would be enrolled at the Oakland Tech High School in Oakland, California. I was to stay with an American family, Mr. and Mrs. Giles B. Cropsey and their three children: Janet, Duane, and Damon, who was to be my classmate. 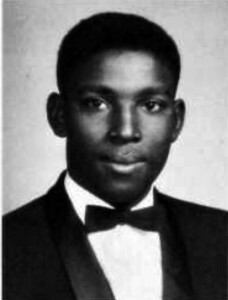 When I first come to Oakland Tech, I was impressed at the mixture of students: so many Afro-Americans and also many international students. I like the environment of this kind of mixture. 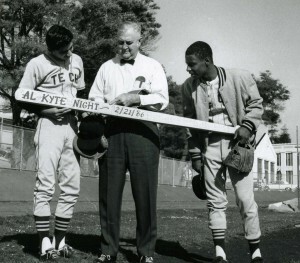 There were many different clubs at Tech High. I joined several of them. Here I want to share some memories of my time at Tech. 3. I was lucky to have two American foster families. 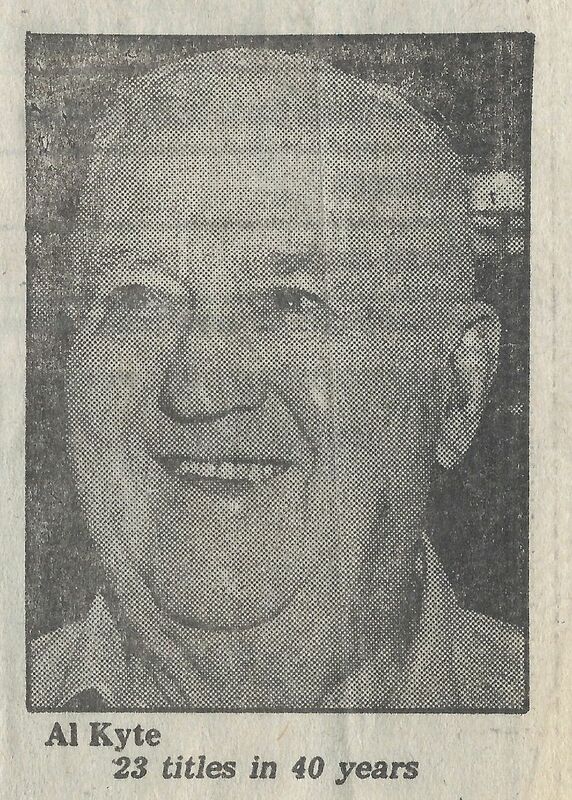 On one December evening in 1960 a meeting of the American AFS Chapter at Oakland Tech High invited my American foster family and myself to discuss the decision of the AFS local chapter committee to move me from my American foster family, The Giles B. Cropsey’s family. The reason given was that I and my foster brother, Damon Cropsey didn’t get along well. Actually, that was not the case. Damon had his own friends and I had my own friends too. It was not enough for the AFS local committee. They expected that Damon and I should be together more. The committee has decided that I should move in with The John A. Blosser’s family. I remember that the Cropseys and I cried together. The next day I moved in with the Blossers. After this move, I still have good contact with the Cropseys. So I have two American foster families. My other foster brother is William (Bill) R. Blosser. They both are very good families. Lucky me. 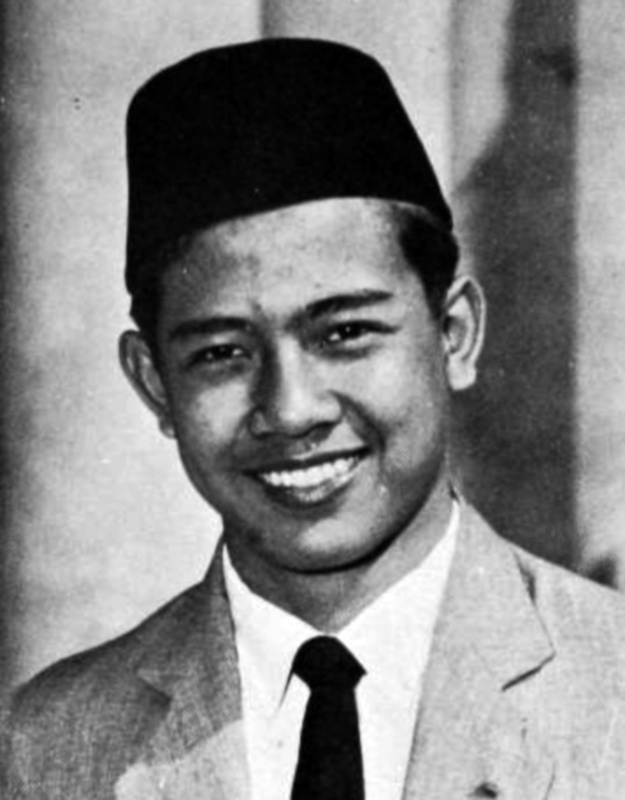 After I graduated from Oakland Tech, I returned to Indonesia, and I enrolled at the Jakarta Theological Seminary. I graduated with a Bachelor of Theology degree. I got married in 1965 in West Irian (formerly Papua New Guinea). In 1966 I returned to California, to enroll at the San Francisco Theological Seminary at San Anselmo. I finished my M.A. degree in Christian Education at SFTS, and then I went to the University of Pittsburgh, to enroll in the Ph.D. program at the School of Education. I finished my Ph.D. degree in Foundations of Education in September 1972, and returned to Indonesia. In 1973 I joined the Duta Wacana Christian University in Yogyakarta and in 1980 became the Dean of the Faculty of Theology until 1985, and then became the President of the University until 1990. In 1990 – 1997 I went to work as Executive Secretary for Theological Education of the World Council of Churches in Geneva, Switzerland and for two years after that became Consultant on Ecumenical Education of the World Council of Churches. From 2000 – 2002 I was appointed as President of Ukrida Christian University in Jakarta. From 2002-2009 I became Executive Director of an NGO, The Center for Empowering Reconciliation and Peace in Jakarta/Yogyakarta. From 2010 – 2015 I was appointed as Chairman of the Board of Trustees of Satya Wacana Christian University in Salatiga. 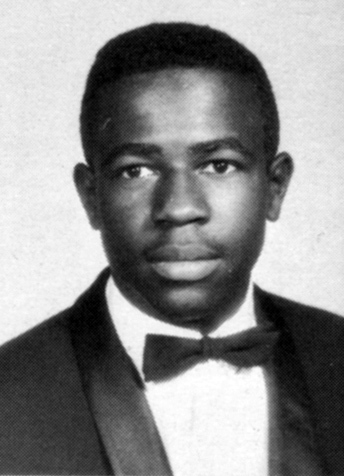 Steven was born on May 18, 1943, to a seamstress mother, and a hardware clerk father in Oakland. 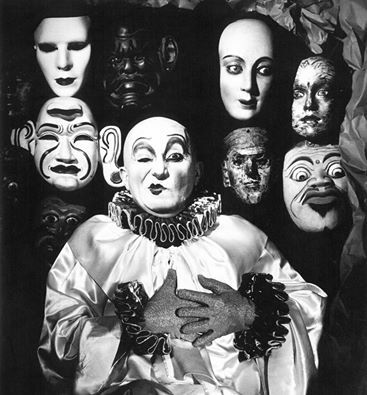 At four or five years old, he found a chest of theatrical costumes and make-up belonging to his uncle in the attic of his parent’s house, and from then on devoted himself to the art of transformation, constantly dressing up to amuse himself, his fashion model sister, and his babysitter. 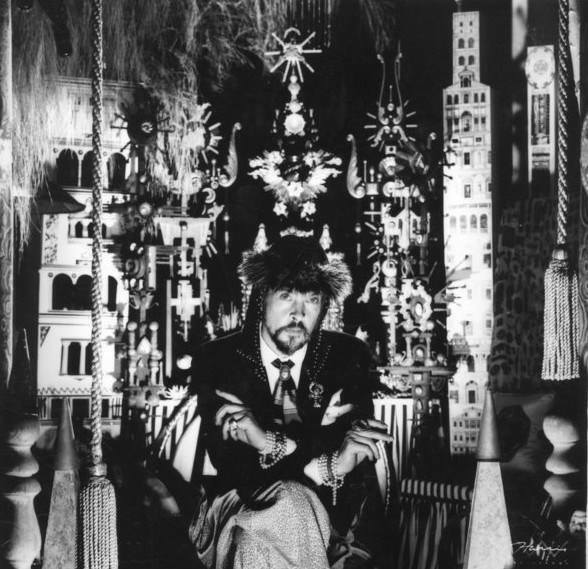 His parents encouraged his fantasies, and allowed him to build sets and puppets to put on shows for the neighborhood children, to whom he said, he never related. 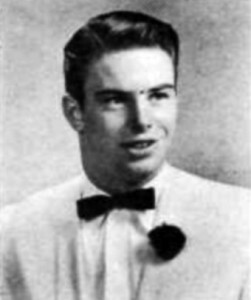 After graduating from Tech in 1961, Arnold won a full scholarship to the San Francisco Art Institute. In the spring of 1964, after earning perfect grades for two years at the Institute, Arnold took a break to study abroad in Paris and enrolled at Ecole Des Beaux Arts. Feeling confined by the stiff, traditional curriculum at Ecole Des Beaux Arts, Arnold and a group of American classmates rented villas on the small island of Formentera off the coast of Spain. Arnold began keeping sketchbooks around this time, a practice he maintained throughout his life. Returning to San Francisco in the Spring of 1965, Arnold resumed his studies at the San Francisco Art Institute, turning his eye on film-making: writing, directing, and designing three short films over the next two years. By late 1967 Arnold was on the verge of receiving his BFA, and his final student film, Messages, Messages, was drawing critical attention. The film went on to win invites to Cannes’ Directors’ Fortnight, the Chicago International Film Festival, and the Toronto Film Festival. Due to the critical success of their film, Arnold and collaborator Michael Wiese decided that Messages, Messages was worthy of a more elaborate hometown premier than the San Francisco Art Institute could provide, so in February of 1968, shortly before their graduation, the pair rented the Palace Theatre in San Francisco’s North Beach for the occasion. 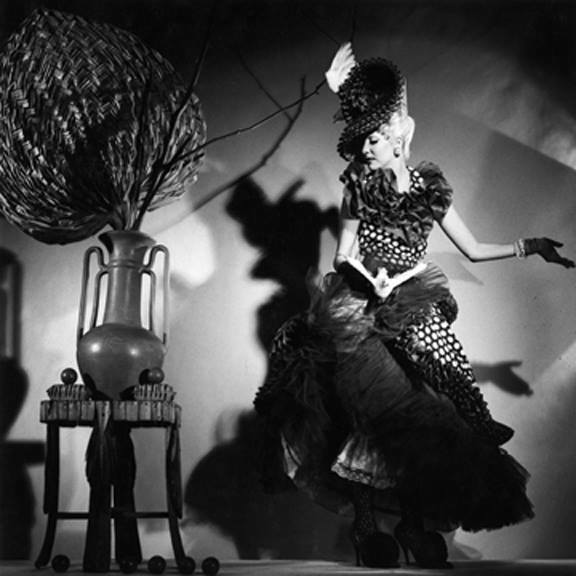 In addition to Messages, Messages, Arnold also curated “a rare collection of early surrealist films by Man Ray, Melies, and old French animations.” The evening was such a huge success that theater owner offered to allow Arnold to continue holding screenings. 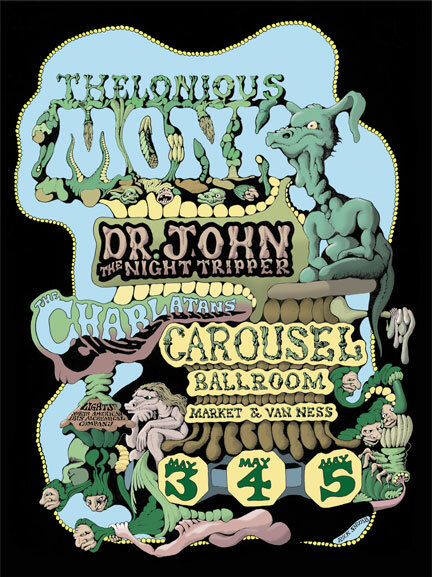 This led to the March 1968 inauguration of Arnold’s Nocturnal Dreamshows, the very first of the weekly midnight movie showcases that became nationally popularized in the 1970s. 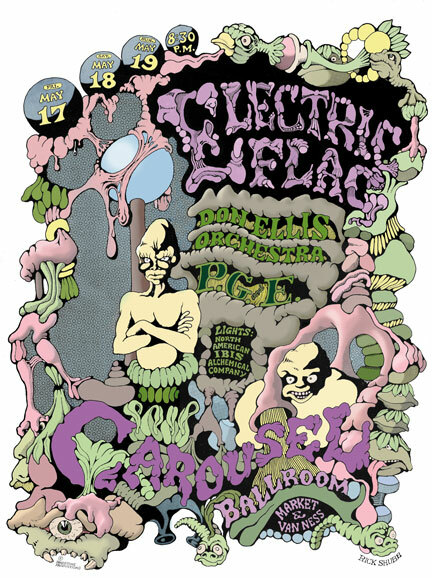 Since 1967, Arnold had also been illustrating posters for local businesses, and was among the original group of rock poster artists in San Francisco, creating some of the first rock posters for the famed Matrix nightclub, which was later credited for originating the “San Francisco sound” of the psychedelic ’60s. In 1969, while working on his MFA at San Francisco Art Institute, Arnold began filming Luminous Procuress, which went on to win him the 1972 New Director’s award at the San Francisco International Film Festival, an extended exhibition at the Whitney Museum of American Art, and a second invite to Cannes’ Director’s Fortnight. Salvador Dali was so impressed with the film, that he arranged a private screening at the St. Regis Hotel, to which he invited New York’s elite, including Andy Warhol, who also praised the film’s genius. Arnold became a favorite of Dali’s, and in 1974 went to study with the master in Spain, helping Dali to embellish and inaugurate his Teatro-Museo Dali. 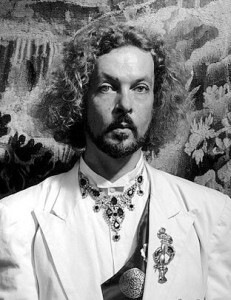 Dali dubbed Arnold the ‘prince’ of his Court of Miracles, which included other counter-culture icons such as Donyale Luna, Andy Warhol Superstar Ultra Violet, Amanda Lear, Marianne Faithfull, David Bowie and Mick Jagger. After returning to California, and failing to make any progress on other film projects, Arnold was driven to find new modes of expression. By establishing his Los Angeles photography studio and west-coast salon, Zanzibar, Arnold did just that. behind a social legacy in Los Angeles which, according to many who saw Zanzibar at it’s height, has never been equaled. He also nurtured deep, inspirational friendships with kindred spirits such as actress Ellen Burstyn and Simon Doonan of Barneys New York. Arnold adored the vast cross-section of society represented at his nightly Salons, but also culled inspiration from his dreams, world religions, sexuality, fine art masterpieces, Jungian archetypes, social attitudes, excess, and artifice, working all night, and waking each afternoon to sketch dreams and visions into his growing collection of sketchbooks. In addition to his photography, Arnold also translated these drawings into a large body of paintings and assemblage sculpture between 1990 and his his early death in 1994. 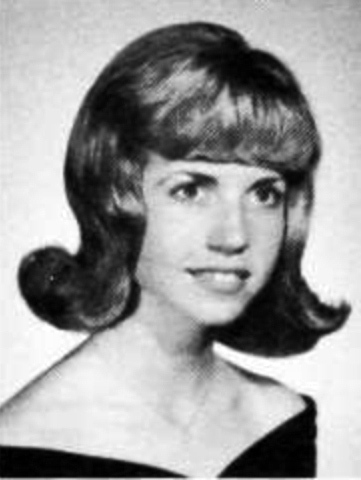 This prolific period led to brushing shoulders and photographic opportunities with the likes of Vogue’s Diana Vreeland, psychedelic explorer Timothy Leary, Michelle Pfeiffer, Jay Leno, Warhol Superstar Holly Woodlawn, The Cars, George Harrison, Blondie’s Debbie Harry, and John Waters’ stars Divine and Susan Tyrell, among others. Arnold was diagnosed with AIDS in 1988 at the height of his popularity and died in 1994. 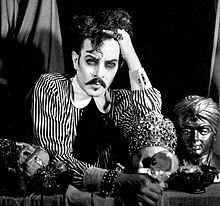 His works are in the collections of the Whitney Museum of American Art in New York, Frankfurter Kunstverein in Germany, the Museum of Modern Art (MoMA) in New York, Cinematheque Francaise in Paris, the San Francisco Museum of Modern Art (SF MoMA), the Oakland Museum of California, the ONE National Gay and Lesbian Archive and Museum in Los Angeles, and the Cincinnati Art Museum. Steven Arnold’s vast artistic catalog continues to be exhibited worldwide, and is the focus of the upcoming documentary Heavenly Bodies, slated for release in 2014. There were some tremendous. instructors at Tech, who had a positive impact upon me. 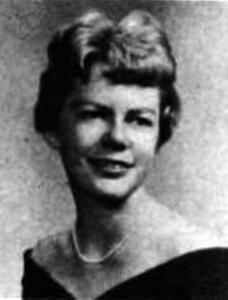 Eloise Keller was a fantastic English instructor, who really influenced my writing, speaking, and listening skills. Peter Cuttitta was a fantastic biology instructor, who really had us all participating, doing independent research, and lead me to major in biology and minor in chemistry. And Mr. Daniel Rosen, a great US History and Political Science instructor, who really brought US history to life and kept me involved. 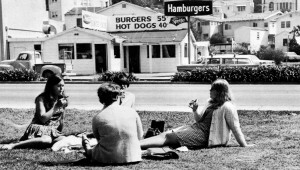 In my years, when Tech was an open campus, there was something called the “Bulldog Café” across 45th Street from the campus, which was a popular hang-out for students. A highlight of my time at Tech was an assembly entitled “Faculty Scandals.” This was a production by the Tech faculty showcasing their skills as singers, dramatic readers, and actors in a variety of skits. It was very entertaining, revealed a different side of the faculty, and provided us with some great entertainment that I remember to this day. I am sitting here thinking of how my whole life would have been different if I had attended another high school. At Tech I met my two best friends, Rosemercy Quilalang (Yasa) and Sandra Shinomoto. Rosemercy and her husband introduced me to my future husband (his friend). I was married to the same man — loving, wonderful and intelligent — for almost 50 years. It was the time when the nation was in turmoil with Vietnam War and racial tensions, and because my husband and I were of mixed marriage it was quite disturbing to some people (especially, when we went to Sunday service). I am an average student, but was enrolled in both Business and College Preparatory classes. I especially enjoyed my classes with Alice Perry, a Typing teacher. Through her I used my skill to secure a job and retire from the City of Oakland. Mrs. Eleanor Berg, International teacher and counselor for foreign students, was beautiful and had so much patience with us. My math teacher, Mr. Stonrod, was amazing teaching Geometry/Calculus. At that time, I did not realize the value of learning math, which we use daily. These are a few instructors that made me who I am. There are others – my history/counselor teacher, Biology, and Chemistry. (I remember one particular student who would call me “Squirt” because I was short and he was tall.) I didn’t mind because he helped me get through the class. I looked forward to my “homeroom.” The two sets of twins were there (Grays before they transferred to “Skyline”) and the Wilsons and other popular students. The above are just part of my experiences at Tech. I can go on and on and probably would be able to write a book. In summary, high school is important to building character and preparing students to face their future, no matter what their choices will be. Caroline (Chin) Yee began and ended her journey in the Oakland public schools at Lincoln Elementary School in Oakland’s Chinatown. 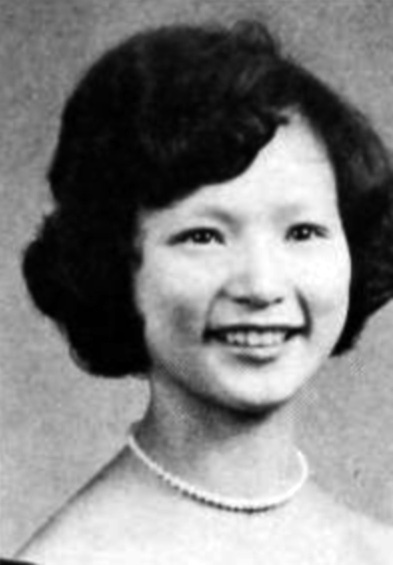 Growing up in Oakland’s Chinatown neighborhood, Caroline attended Lincoln as a child and many decades later, after a long and rewarding career both as a teacher and as a school principal, she served as its principal. 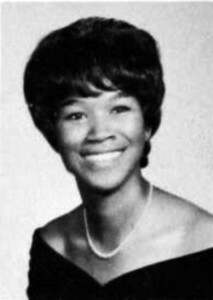 She attended Westlake and Oakland Tech, graduating in 1962. At the University of California, Berkeley, she met Gary Yee, her future husband and a future superintendent of OUSD. 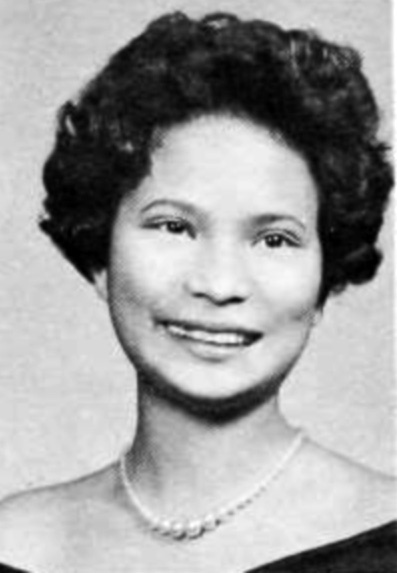 After graduation, Caroline began her 40-year career in education at a school on the island of Guam where her husband was stationed in the US Air Force. From 1971 on, Ms. Yee served in the Oakland public schools, initially as a teacher at Martin Luther King Jr., Washington, and Sequoia elementary schools. On a Fulbright Exchange program in Scotland, Ms. Yee developed her expertise in hands-on science and arts education and in 1992 taught science in LITES at Mills College, a professional development program for Oakland teachers. Caroline then served as principal of Hillcrest and Emerson Elementary Schools and in 2004, completed a full circle by becoming the principal of her very first school, Lincoln School. She received many prestigious awards for her contributions to public education and retired in 2008. 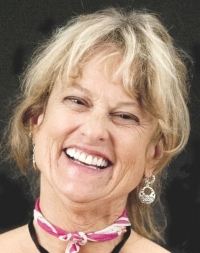 According to her obituary, “Her message was always the same: ‘Have fun! Learn a lot!’ Throughout her career, Caroline believed in engaging students, and she delighted when students could see things from different perspectives, and share their learning with others. She sponsored science camps, science fairs, art fairs, music in the schools and beamed when students proudly shared their work with parents and others. As a principal, she strived to bring out the best in every adult who worked with children.” Caroline Yee died in Oakland on February 21, 2013. 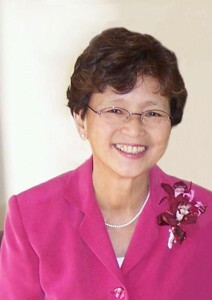 Later that year, an Educational Annex at Lincoln Elementary School, a building Ms. Yee helped to create to replace the school’s outdated portable classrooms, was named in her honor. Memories of football games at Bushrod Park. We girls would wear one of our dad’s white dress shirts, the bigger the better. We all had fun and we didn’t need million dollar stadiums. Wood bleachers, plain grass, and a great football team brought us many victories. My mom, Emma Williams, graduated from Tech as well around 1930 and my aunt Vera Willams graduated 3 years after that. We are a two-generation Tech family. Some of my favorite memories at Tech centered around my involvement with student government and the friends I met in those efforts. I particularly remember our Student Body President, Oliver Brown, whose leadership and example set a tone for the whole school. It was a time of student body unity, purpose, and a sense of all of us pulling together. A few years ago, nearly fifty years after graduating from Tech, I received an email from the daughter of one of my high school teachers. Tom Whayne happened to be my very favorite teacher. He had spotted my name on a poster I had drawn, remembered it, and asked his daughter to track me down; to find out if I was, in fact, the same guy who was in his drama class in 1962. What an unexpected pleasure to be reunited with you after all these years, if only here in cyberspace. It gives me a chance to thank you. Thanks for believing in me; it enabled me to believe in myself a few years later, when I started to put the pieces together. Thanks for imparting the appeal of the performing arts; my comfort level on stage has served me well in my “secondary” career as a performing musician. Thanks for showing me what a teacher can be. I’ve had occasion to do a lot of teaching myself, although not in a classroom: music lessons for many years, and more recently martial arts. I know what a profound influence a teacher can have, and I’ve always tried to be the kind of teacher who inspires with genuine enthusiasm for the subject and respect for the student. Like you. And thanks for making an hour a day really enjoyable in my otherwise dreary high school experience. Rick is best known as the inventor of the Shubb Capo, a very popular guitar and banjo accessory. His 1978 patent is cited by Sterner’s Capo Museum as being one of the most significant improvements in the development of the capo. He also invented the lever-operated banjo fifth string capo, the compensated banjo bridge, and holds several other U.S. and international patents on musical instrument accessories and improvements. He is also a noted and influential 5-string banjo player and teacher. He was among a handful of young West Coast musicians to discover and popularize bluegrass music, which was already well established in the Southeast. 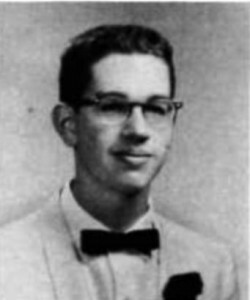 He graduated from Oakland Technical High School in 1962, and during the folk boom of the 60s he played in coffeehouses and taverns in Berkeley and San Francisco, playing with such musicians as Doc Watson, David Grisman, Jerry Garcia, and others. 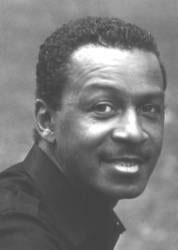 He later went on to develop a distinctive swing-influenced banjo style, which he performed and recorded during the 70s and 80s. Rick Shubb also is known as a graphic artist. 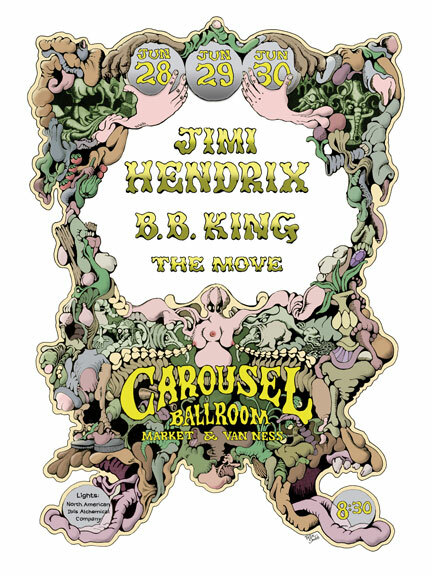 During the psychedelic era he drew posters for the Carousel Ballroom, one of San Francisco’s hip rock palaces. Three of his posters are included in The Art of Rock, the definitive work on rock posters. 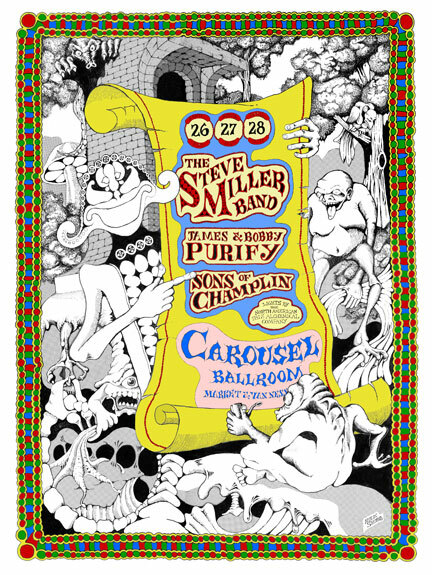 He was a featured artist in various underground comic books, including his own Brain Fantasy published by Last Gasp, and his popular poster Humbead’s Map of the World was regarded as an integral part of the folk-rock culture of the 60s. Rick Shubb currently owns and operates his own company, Shubb Capos, which manufactures various guitar and banjo accessories. I really looked forward to going to school. I guess that’s because I was involved in so many things. I was part of the student government. In fact I served as Student Body President my senior year! 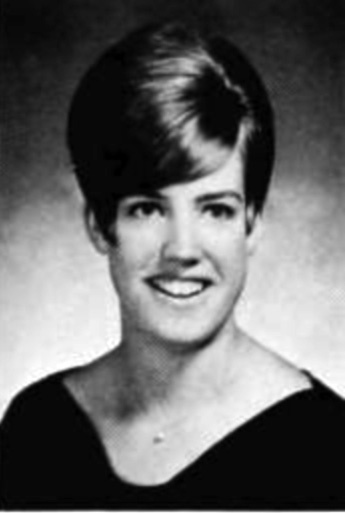 I was also in the Key Club, Swim Team and was also the Head Yell Leader (which was typically a “girl” thing. One person I vividly remember was Tiny Barber. He was African-American and was one of the most enthusiastic guys I have ever met. I had been the Assistant Yell Leader in my junior year. 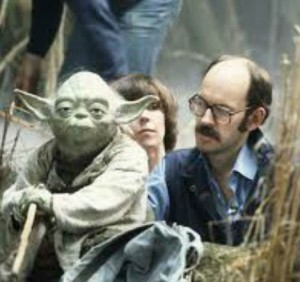 Tiny held that position or maybe he was going to be the assistant, but he passed away unexpectedly. It was so tragic. He was a fanatic about supporting the school. It was a huge loss for all of us. I remember we wore a purple sweater with gold stripes at the bottom and a bulldog on the sleeve. And I got to wear Bermuda shorts! We couldn’t wear shorts to school but I could wear them to the games. That was also the time when Letterman Jackets became popular, virtually replacing Letter Sweaters. I went to my 30th and 35th high school reunions and I will go to 50th! We had this book of yells. At the 30th, most of cheerleaders were there and we tried to lead the yells! We were not athletic like cheerleaders are today. We did not do acrobatics. We had routines that primarily used our hands and feet and we were available to cheer for any sport but mostly we cheered at the football and basketball games and rallies. The song girls (or pompon girls) joined us at the school wide assemblies. Back in the day, the football games were very well attended. That’s both home and away mind you. There was always fence that separated the fans. We’d do stuff to taunt the fans from the other teams. Part of my job was to make sure that the fans really enjoyed being there. We would really get the crowds going! That was a lot of fun. In 1964 we may have finished last in the football league but we won the trophy (Keyes Trophy) for the most school spirit! Skyline High School opened after my 10th grade year. That was 1962. Many students had a choice as to which school you wanted to attend. Don’t recall whether I had that choice, but I stayed at Tech. I do however remember dating a girl at Skyline who had gone to Tech in 10th grade. But I’m glad I stayed at Tech. We had a good mix of kids and most of the kids I ran with stayed at Tech. Our student government at the time had some power. I mean the serious infractions were dealt with by the administration, but the students decided on the penalties for the less serious stuff. Student government kids would represent Tech at the Oakland school council meetings as well as district wide meetings. The classes planned their own events like proms and such plus lent a hand for school-wide related events. Our school dances were held in the Girl’s gym which was near the tennis courts. The yearbook had each committee pictured separately. One thing I vividly remember is the day JFK was assassinated. I was backstage at an assembly in the Auditorium. The Principal came out and took the microphone and made the announcement. People started screaming. It got a bit hectic. We all went back to class in shock. We had lots of discussion about this in our classes. It is something that I will never forget. I was a senior at the time. There were definitely some teachers who really stood out for me. One was Pete Cuttita (Biology/Anatomy). We dissected worms in his class. He was so dynamic. I can still tell you the names of most of the bones in the body. He had a skeleton in the classroom and he would point to a student and you had to name that bone. It was purely rote memorization. But he was so animated and fun. Believe it or not kids would still fall asleep in his class and he’d bang his pointer on that kid’s desk. I can’t recall a student that didn’t like him. Next door to him was Otis Handy an African American man who taught Spanish. He spoke only Spanish in the classroom. I took Spanish in Junior High and a couple years with him at Tech. I also took it at Air Force Academy. I also took one semester of drama under Mr. Wayne. He too was an animated and fun teacher. We did some plays in the class but I wasn’t in any of the bigger shows. 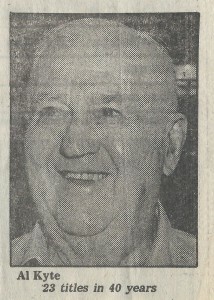 Mr. Bob Coy taught art in the shop area. Maybe it was mechanical drawing. 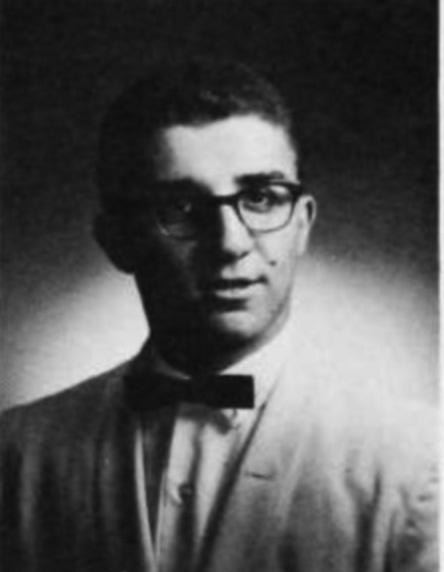 He was also the teacher advisor to student government. He was a really good guy. I was also in band, and therefore the ROTC band, in my sophomore year and then dropped out. There was diversity in the school. But we all got along as far as I can remember. When I ran for Student Body President, we made posters and hung them around school. You also had to give a 2-minute speech during an assembly. There were three of us running for President – ¬ Glen Angelo, Craig Fisher and me. I was last one to speak. My competitors were both white and talked about race relations. Maybe there was an undercurrent. They felt they were saying something important by bringing it up. Maybe because of the post-Kennedy assassination? I was last, and wondering what to say after that. I departed from what I had prepared to say, and acknowledged what they had said, but then remarked that I thought all students at Tech worked together really well – evidence the Keyes Trophy. This was the first time I recall race issues coming to the surface – probably naïveté on my part. The other two probably split the vote – in any case, I ended up being elected. I also remember that Ruth Pointer (of the Pointer Sisters) was a year ahead of us. Proud that she signed my yearbook. She was also a cheerleader and we talked frequently. I remember that she was smart, very quiet, reserved and soft spoken. First time I heard the Pointer Sisters sing, I was quite surprised. I am a firm believer in public schools. Nowhere else can you develop the social skills that will carry you far in life. My family always went to public schools and I think we benefited from the diversity. We weren’t aware of this at the time, but as I look back on it, the skills we learned were pretty significant. Tech was definitely a melting pot. We really benefited in so many ways being at Tech. McClymonds was primarily black. Skyline was primarily white. But we had the diversity (Asian, Latino, African-American, White, and others) which gave us the chance to interact with a very diverse ethnic student body. That was the best thing about Tech. You met a lot of different people. One thing I liked most about high school was that I had a chance to be involved in so many different things and learned to get along with all types of people. It was a life lesson. I feel proud to be a Bulldog. I still have my tassel with “64” on it and I will be going to my 50th reunion this year. All of the cheers were bulldog oriented. Bobo was an actual bulldog and he came to all of the games. We wore rally hats and had yellow megaphones with a bulldog on it. I still have mine. We had lots of school spirit! My advice to all students is to appreciate what you have while you have it. High school years carry a lot of memories – mine were very positive. In 1964 a bus ride 1-way was 10 cents. 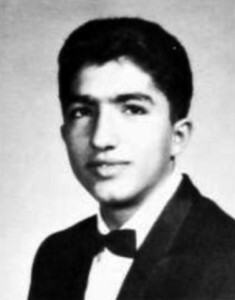 We had one friend, Fred Salaices, who had his own car so a group of us ended up giving him our bus money to help pay for gas if he would take us to school and back home. I am sure he made out as gas was only $.30 a gallon at that time, but we wanted to ride in a car not the bus. On November 22, 1963 we were all assembled in the auditorium for a special assembly. Someone came onto the stage and told us that President Kennedy had been assassinated. We were stunned and then everyone seemed to be crying. We could not believe our President was dead. The ROTC Drill Team was invited to perform in a parade in Hayward to show their moves. I had a great time being the on bus and taking pictures on the parade route. The ROTC guys did great and I could not have been more proud of them. 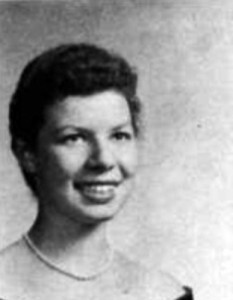 Mrs. Massey was the Home Economics teacher and she also was our mentor and advisor. We had a competition with other schools to send bars of soap to another country that badly needed them and we outdid the other schools. Also many a weekend, we were at her house for other projects. We had a great time with Mrs. Massey. Once, a group of guys took a car (I believe it was a VW) and placed it on the breezeway near the Auto Shop. Many a weekend there were impromptu flag football games that many of us would attend and play in. We would go to football games and many of us would sit at the top bleachers so that we could look over at the Raiders practicing on the field next to ours. I have many happy memories of my years at Oakland Tech. Mr. Borum was our Principal and Mr. Don Madera was a physical education teacher. Both of them showed up at our 30th reunion! Mr. Borum flew in from NY. Mr. Madera was also my son and daughter’s math teacher at Acalanes High School! I was a junior in high school in California. It was ’63 or ’64. Racism was a topic of the news at regular intervals. There were blacks that I knew that I considered to be my friends. 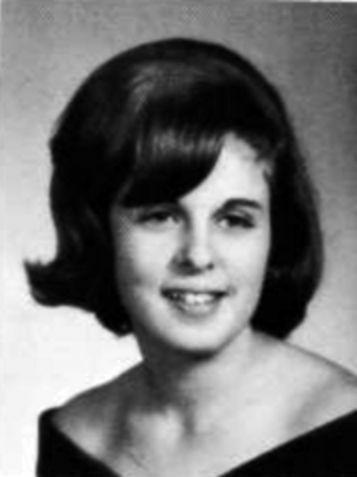 I was the school’s yearbook photographer, a bit unusual for a junior, and my main duty was to be at all school functions. The school had an enrollment of over three-thousand and the auditorium could only hold just under two-thousand. What that meant was that two assemblies were required, and I could get out of another class. The same principal who informed us of Kennedy’s death was trying to get some sense of order and wasn’t having a whole lot of luck. Blacks sat with blacks, and whites sat with whites. It was a tense time during that first assembly. It was a pressure cooker waiting to go off. The school’s drama department would normally perform a skit or something at the start of an assembly. The curtain opened after it got about as quiet as it was going to get. Nothing was on the stage as two people approached each other from opposite sides of the stage. One was a black student named James Barber. He was short, and everybody nicknamed him “Tiny”. From the other side came a white girl, whose name I can’t remember. 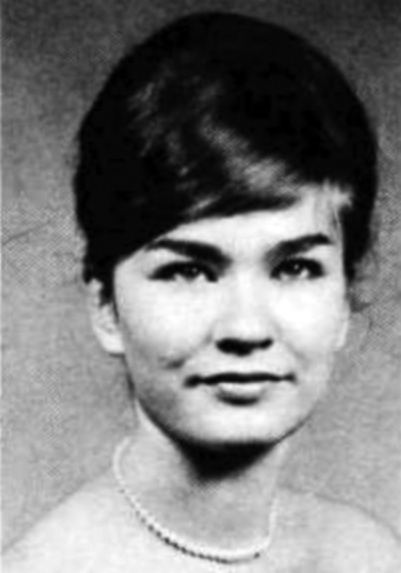 She was a couple of inches taller than Tiny and was incredibly good-looking (the kind of good-looking that young males found themselves with their mouths hanging open when she walked by). As they walked toward each other, the audience became really quiet. They put out their arms like they were going to shake hands. As soon as their fingers met, the song “Do You Love Me ?” blared from the speakers. From past assemblies, I knew that Tiny was a very good dancer, and the girl could hold her own on the floor with anyone. This was the first time I had ever seen them dance together. She had on a bright, blue dress that went down to just below her knees. He wore a dark suit with one of those real skinny ties. The two of them started in motion with the first note. One of his first moves was to jump in the air and land in a split. She reached down and patted him on the head, and then slowly raised her hand. He came up with it like her hand had stuck to his hair. The performance got better from there. He would stop and she would do something. They presented each other. It was really something to watch. Within thirty seconds, it was obvious that as good as they were by themselves, they were better together. Tiny had moves that would make Michael Jackson look clumsy. A minute into the song, the audience was clapping and singing along. Somewhere during that song, racism didn’t seem to have meaning. I remember at the end of the assembly, when they came out to bow, the audience went wild and the principal nodded at someone behind him. The song came on again and we were treated to a performance that equaled the first. The second assembly started out almost the same way and ended up identically, including the encore dance. 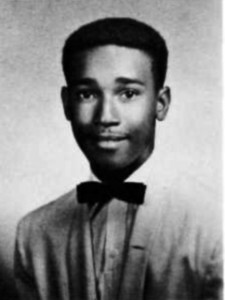 Tiny died in an accident before he graduated from high school, and his senior picture in the yearbook is bordered in black. I remember Tiny, and I know what my all-time favorite song is now. 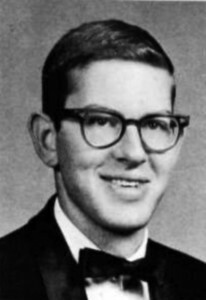 Andy Mitchell (Andrew O. Mitchell, Class of 1965, 1947-2013) was the bravest man I ever met, almost losing his life in Viet Nam. His surgeon said his wounds were the worst he’d ever witnessed in Viet Nam, but the doctor saved him. 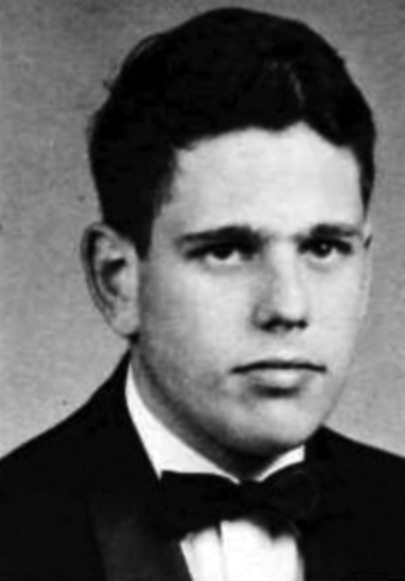 His remains were interred in Arlington Cemetery. I was a singer in high school, in Boys’ Glee. I used to sing with my brother and we planned on being a duo after our military careers. I remember drama class with Mr. Whayne. 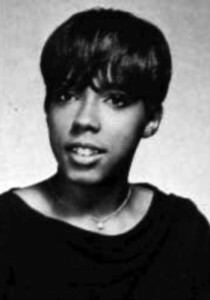 Anita Pointer and Ted Lange were in the class too. Mr. Whayne was inspirational in a lot of ways. He was a great human being and I will always remember him. He was helpful in my career. In 1983 I was in touch with Ted Lange who inspired me to pursue an acting career. I had speaking parts on Days of Our Lives and The Jeffersons, in some soap operas, and situation comedies like Zack and the Fat Man, Hill Street Blues, Different World. Mr. Whayne gave me the impetus to follow that line of work. I spoke with him once or twice after I graduated. I was in a lull in my recording career at that time, but then I got back into music and moved to Las Vegas to make a living performing. 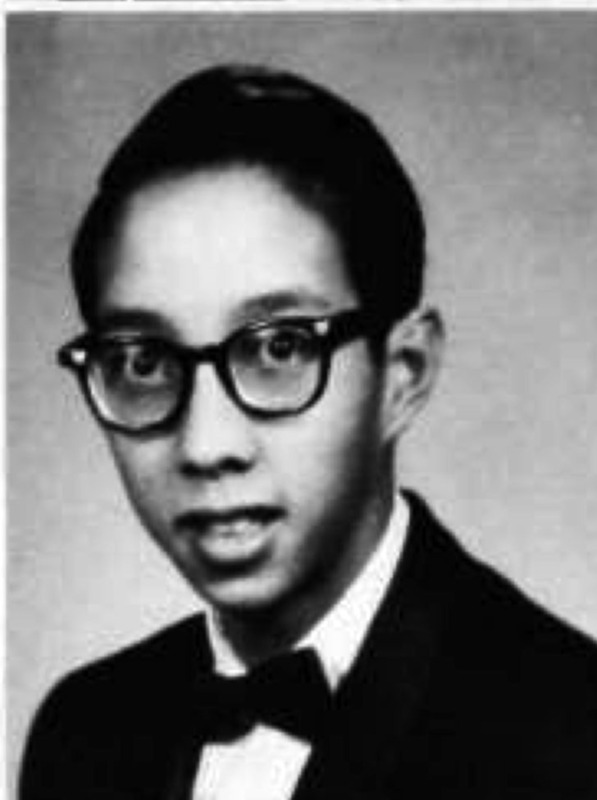 In 1965 I wanted to join the Marines like Warren had. Maybe it was the flashiness of the uniform, but I wanted to follow in his footsteps. He talked me into the Navy or the Air Force, saying, “I don’t think you would enjoy the Marines.” He probably saved my life in that respect. I would have joined and ended in Vietnam as a Marine. I joined the Navy Reserves while still in high school. After I graduated from Tech in June of 1965, I requested active duty immediately and was sent to boot camp at Treasure Island. From there, I went on a destroyer to Vietnam. I came back and saw my brother for the last time in 1966. We had a reunion in Los Angeles because I was stationed in Long Beach and he was stopping there on his way to Vietnam. We communicated through the mail until he died. The day he was killed, I was off the coast of Vietnam on combat duty on a destroyer. We were ordered to fire shells into battle zones. 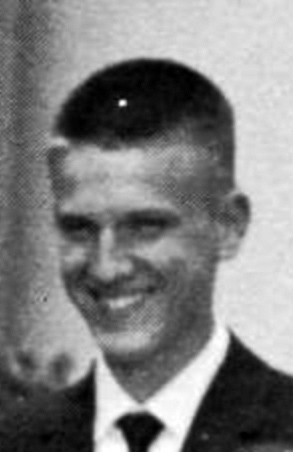 On July 7, 1968, five days after his death, I got a message to report to the executive officer on my ship and he told me that my brother had been killed. The Red Cross had notified my family in the US and then it reverberated back to me on the ship off Vietnam. I got off the ship that very day. Because I was the sole surviving son, they sent me home. I had an honorable discharge from the Navy in 1971. 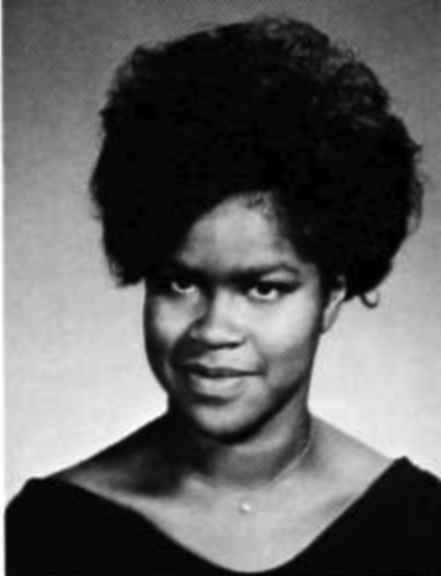 I left Oakland in 1973 and moved to Philadelphia. I sang background with the Rolling Stones on “It’s Only Rock n Roll (But I like It).” That kick started my career. I was the lead singer for “Fat Larry’s Band” and then I came back to California and the band continued on without me and did really well. A lot of the hop hop performers sampled our music for their records. I have recorded with a lot of other bands too. 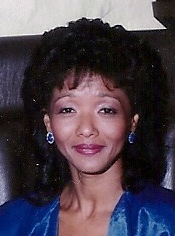 I have been living in Las Vegas for many years performing with a Motown and R&B review called Spectrum. We were voted Best of Las Vegas in 2005 and 2006 and got the Las Vegas Living Legends Award in 2009. I have a new CD out called “All I Need is You Tonight” which you can listen to on You Tube, or below. The way I look at it, if your story helps someone else, share it if you can. Inspire people. That’s what we are here for. That’s why God gave us wisdom so we can make the best of this world. Be ready for the opposing force and maintain some sense of objectivity. As a member of Tech’s class of 1965, I share in the knowledge that our class distinguished itself from all the others. That may seem like a boast, but it’s really true. We were not only the 50th graduating class, but also an unforgettable one. Many years after our leaving that beautiful campus, several faculty members remembered us… for better or for worse. For our class not only achieved a high degree of success in our adult years, sending many of us to college, or highly technical occupations, or the pulpit, but also we gained a strong understanding of the fine reputation Tech held in advancing, and preparing her students. As a class, we remained loyal to the school, faculty, and our classmates. Although many of our classmates have predeceased us, their memory is forever in our collective minds. We recall their own contributions, and talents, to the spirit and energy of Tech. Many of us have remained friends, have reconnected through social media, or have attended reunions over the years. I have many, many fond memories of Tech, not the least of which is the manner in which we conducted ourselves, and connected, within a very diverse population. We sensed that Tech was on the cutting edge of education and technology, as well, allying itself with the nearby University of California, and also living up to its name and reputation as a school fortunate enough to have a vibrant, sensitive, and talented faculty. 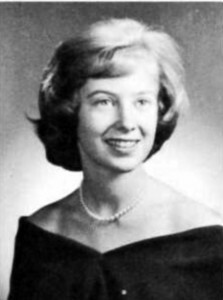 During my junior year, my mother died suddenly from a cerebral hemorrhage. Of course it was devastating for my family, yet we carried on as she would have wanted us to. What is indelible in my mind is what I experienced at school, upon my return. It was not easy to go back to my classes, even with the special friendships I enjoyed, but each teacher took the time to speak with me, to comfort me, and in many cases present me with a gift. The French Club presented me with roses (Dr. Paula Haas), and my English class, presided over by Dr. Norman Pietan gave me a lovely pen set, which I have kept to this day. My math teacher, Mrs. Catherine Schmidt, who was a pastor’s wife, came along side of me with the kindest of comforting words. The girls’ vice principal, Miss Valerie Brenan, sent me a letter of great encouragement. These were the thoughtful people of integrity and caliber that we, as Technites, were fortunate enough to be tutored by each day. It is by no accident that I pursued a teaching career myself, though I am retired now. I could continue and tell you about the football games, the music programs (I presently play cello for the Microsoft Orchestra), the performances, the noontime cinnamon rolls (the best! 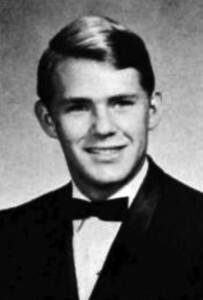 ), the dances, a new auditorium, the day Kennedy was shot while we were in class, our bulldog mascot, or the fact that Clint Eastwood, Tony Martin, Curtis Flood, or John Brodie were alumni. But the real privilege is in knowing that we were the fortunate recipients of a richly rewarding high school experience by attending Oakland Technical High. May she continue on, and may she always remain true to her aim and history. 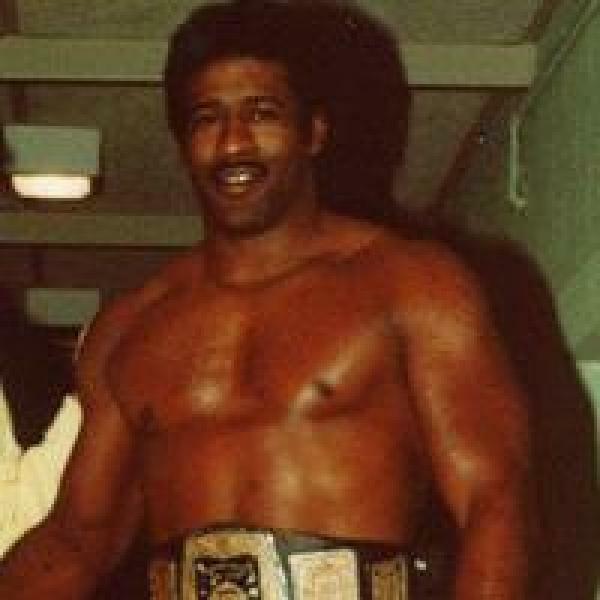 George Wells, Class of 1965, is a retired American professional wrestler and Canadian Football League football player. After graduating from Tech, he attended Laney College and New Mexico State University playing college football and competed in the heavyweight division in several Amateur Athletic Union national tournaments. 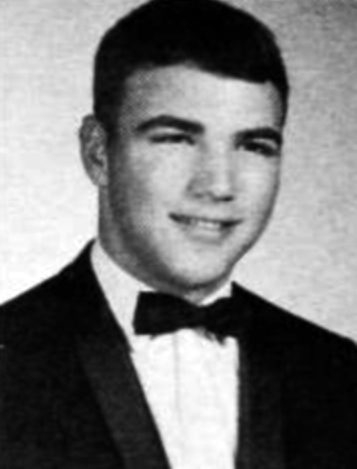 In 1971, he played in the American Bowl in Florida and was drafted by the San Francisco 49ers in the fifth round of the 1971 NFL Draft. He later played eight seasons in the Canadian Football League with the Toronto Argonauts, Hamilton Tiger-Cats and Saskatchewan Roughriders as a defensive end, earning All-Star honors four years and playing in five play-off games and three Grey Cups, winning one. He also averaged 30 to 36 quarterback sacks during four of his last five seasons. 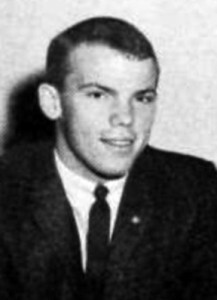 As a professional wrestler, Wells competed in North American regional promotions during the early 1970s and 1980s, including the Continental Wrestling Association, Pacific Northwest Wrestling, Stampede Wrestling, the National Wrestling Alliance and the World Wrestling Federation, most notably as the opponent of Jake “The Snake” Roberts at WrestleMania 2. “My best time at Oakland Tech was my senior year. I worked on the Yearbook with Mrs. Coppoletta and a lot of very dedicated fellow students. We spent the entire senior year raising funds, organizing, and coordinating the photographs and publication of the 50th year anniversary yearbook. It was the best yearbook ever. I also enjoyed my synchronized swimming and life saving classes. 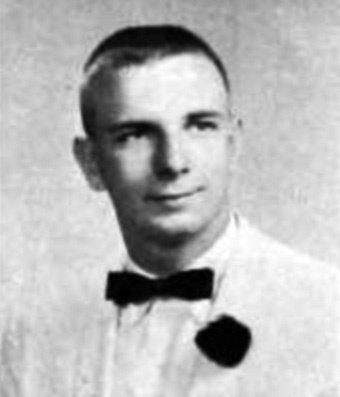 Tony Martin was also an alumni of Oakland Tech. We had an assembly in his honor when he “returned” to Oakland Tech for a day. We sang a song to him that was to the tune of “Hello Dolly”. We sang, “Hello, Tony, well, how’s Cid (his wife, Cid Cherise) Tony.” It was the best assembly I remember. Mrs. Coppoletta was the highlight of my years at Oakland Tech. She was an incredible teacher. I attended her memorial service in 2010. I also enjoyed my experiences at Oakland Tech with the International Students. There were 2 schools in Oakland that the International Students attended; Westlake Junior High and Oakland Technical High School. I attended both schools and I am grateful for my exposure to students from other countries. “Since the Class of 65 was special, 50th anniversary class, we thought of ourselves as a unique bunch. It was a time when things were changing, from civil rights to the war in Vietnam. While in school we witnessed the cold ward, civil rights march and protests on Vietnam. JFK was assassinated while we were at Tech. Our football team was bad, but we won the Kyles Trophy for spirit one year we were there (I think 63 or 64). I was in the marching band, symphonic band, ROTC Band (which kept me out of PE), dance band, pep band and Orchestra. I guess music was my focus/interest. In the 1960’s, the school was pretty close to half black, half white. There were some Latino and Asian students here, but it was mostly 40/40 in terms of black and white students and like 20 percent Asian and Latino. You had black kids holding office, white kids holding office, Asian kids holding office. You know, that was really interesting. Probably the only times things were tense were at dances. They had a lot of dances and stuff and I don’t dance, so I didn’t go to dances. Not part of that stereotype — I have no rhythm. But I remember somebody said white kids wouldn’t dance, but all of the black kids would do all of these fancy things on the floor, and they couldn’t do that. And I remember it was funny because some of the black kids were teaching white kids to dance! But you know, it was really pretty cool. But in general, kids got along. I mean there would be some things because of the time period, [but] as far as interracial couples, that was pretty common; no one really cared. I think Tech may have been a little bit different [than other schools] because, you see, elementary schools and middle schools were segregated, and then you got to Tech, and it was like half and half. But it didn’t seem to cause anything, it was great. I feel like students had a lot more respect for teachers. Now I look in the halls [and] I notice a lot of swearing… and disrespect and kids mouthing off. There is just so much of that. It wasn’t that we didn’t have any of that [in the 1960s], just a very little tiny amount of people as opposed to that being everybody’s vocabulary. School spirit was so high; I miss that a lot. School spirit was just through the roof. But that was kind of true all over Oakland. Kids had a lot of pride in their schools, like during football season. Football [games were] always sold out. If we had away games there were buses in front of the school. Most of the school went to the away game; they would drive you to the game and bring you back. There was just so much school spirit. I think that made the school really exciting. When I look at the school now, all the spirit that used to be here is gone. I think the teacher who had the most impact on me only taught here for a year. She was the best teacher I ever had. She didn’t teach math. Ms. Wolfe would love this — she taught Political Science. I remember the first day of class she passed out the books, and then she walked around the room, picked up all of our books, and she went back to her desk and sat down. We thought, “Oh, this lady’s weird.” She said if anyone wants to read that garbage it’s over there. What I like about her most was that she never told you her political views. She’d always say, “It doesn’t matter what I think, your job is to read everything that you can get your hands on and form your own conclusions.” And so we read everything on the far Left and far Right, in the middle — it was just her thing, you just read, read, read, and then come to your own conclusions. I still do that; I just read everything I can get my hands on. 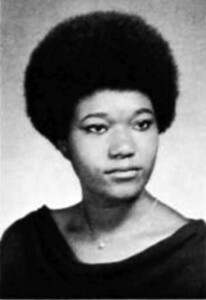 Unfortunately, because of the conservative times, if you weren’t following the curriculum that someone set up for you… she was not long at Oakland Tech. She was pretty much banished. She had the most influence on me, even more than my math teachers. There were classes at Tech we don’t have today. You’d walk down underground [where the Girl’s Gym is now]. There was auto shop down there, metal shop, woodshop, machine shop…Kids who maybe weren’t planning on going to college… could learn trades so that they could open their own businesses when they got out of school. They got most of their training or a lot of their training here at Tech. The furniture those kids could make was incredible. People paid a lot of money for furniture students made. A lot of stuff has disappeared. They’re trying to shove everyone off to get a degree. Maybe that’s not what everybody wants. [The shops were] one of the things that I think were really great and now that’s all gone. Besides that, there was typing class or something, which boys didn’t take! Because typing was for girls. Now everybody types — nobody thinks that anymore. Maybe that explains why I can’t type right. You know, two fingers at a time so it takes me like a week to type anything! They did have, you know, home-making classes. Girls could learn to make their own clothes and stuff like that. But those were electives that people did on the side. You know, you weren’t forced to do it. But, if you wanted to learn to type or sew, they had that stuff. Of course I was in the math club! [But] there was also a drama department, and they did musicals, they did plays, they did comedies, they did Shakespeare. They were always sold out! Sometimes they would have to extend, you know, so next week it was on again. That was really great. There were some really good actors. Some had really amazing voices. No one ever thought about how the kids don’t match. They weren’t trying to make the kids look like anything – it was not a race thing, just a part they can play. Race was secondary. I miss that. We have arts now, and it seems sort of fragmented. We also had ROTC. That’s not here anymore. At the time, it was popular among some students. But the rifle team was more that just shooting; it was more like a drill team, you know, twirling rifles and marching and stuff, and that was fine. It was for maybe if you’re thinking about having a career in the military or if you’re just a mediocre gym boy — you could get PE credit for it, you know, so some people did that. I guess they’re still around, but a lot of schools have gotten rid of them. We had a draft for the Vietnam war. You got your draft notice before you got out of high school sometimes; a lot of people had to report as soon as they were out of school. A lot of us were already going to college, so we had to defer. Then it was a lottery, so I was never in the military. 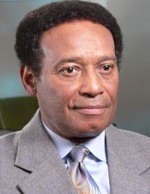 Michael B. Sutton, Class of 1966, is a soul and funk songwriter who found success writing for Motown artists in the 1970s, including Thelma Houston, the Supremes, Smokey Robinson, and Dionne Warwick. Together with his wife Brenda, Sutton performed as a duo called Finished Touch. The couple produced and performed We’ll Make It in 1981, and Don’t Let Go of Me in 1982, both on Sam Records. Both songs made it onto the Billboard Club Play Singles chart. They later released an album So Good for the Rocshire label as The Suttons in 1984, and No Other Love in 1990, once again as Mike & Brenda Sutton. The couple is no longer together but continues to collaborate on music occasionally. The Senior picnic for class of 1967 was so much fun. Our class was united in spirit and passion for our school. There was lots of food, a warm bay area day, and plenty of activities to keep us busy. Homecoming was also a memorable day as we had skit competitions between classes. 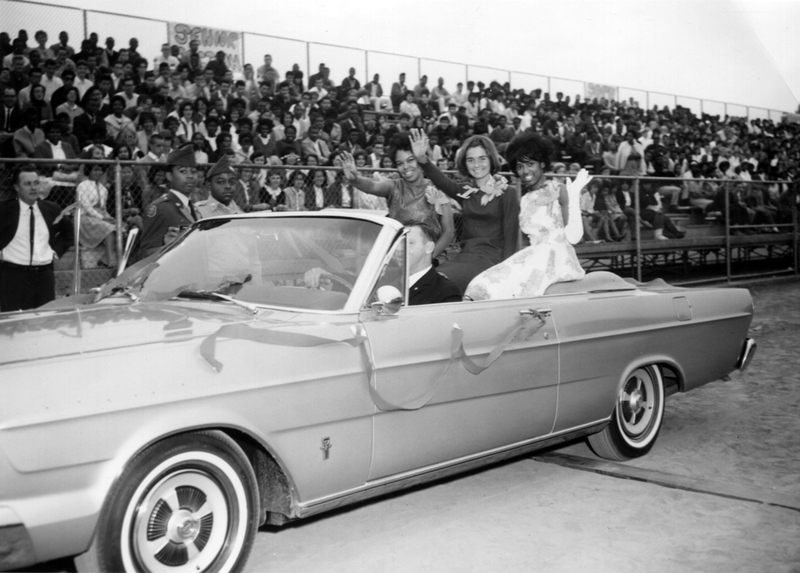 Local car dealers actually loaned us cars to use for the Homecoming Queen (we did not have kings in those days). Everyday was a good day to go to school. I remember coach Marva Eichelberger (Mrs. E) who came to Tech when I was in 11th grade. 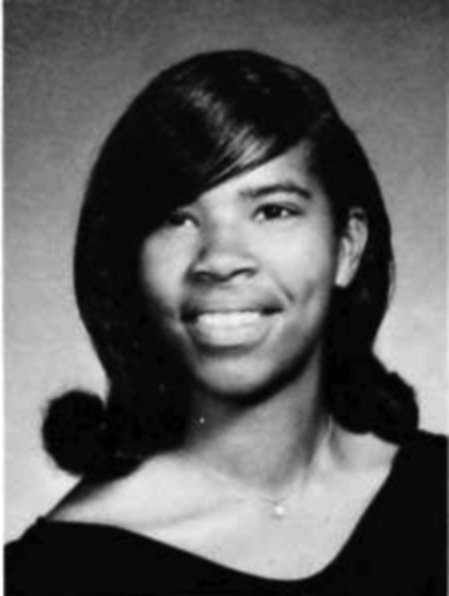 She led a lot of girls sports teams to championships over the years and later went to Oakland High. We had a wonderful connection and I felt very close to her. Another favorite teacher was Betty Wilson who taught leadership. She was married to Warren Wilson, brother of Lionel Wilson who became Oakland’s first African American mayor in the late 70’s. You had to get up early if you were involved in student government because the leadership class was held during A period. Mrs. Wilson cared a lot about us and even gave us individual typed reports about each of us to go with our report card instead of just a grade. She was a model for us during a time when interracial dating was very new and quite scandalous. She encouraged us to be progressive thinkers. 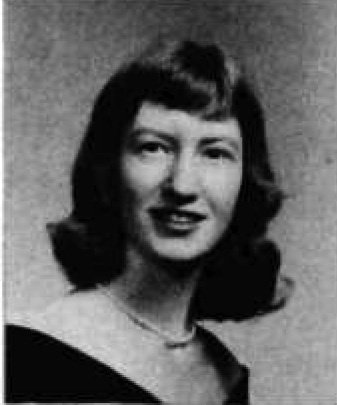 Later she taught at Berkeley High and did a panel on gay and lesbian issues. She was way ahead of her time. I was fortunate to go to India as a foreign exchange student (AFS) during the summer between my Junior and Senior years. This was an amazing opportunity to see life outside of Oakland while meeting kids from all over the world. We spent 10 days on a ship with kids from all over the country who were on their way to be exchange students all over the world. This was where I first heard the term “Black Power” and by the fall, many of my Tech peers were into that movement. I was also part of an All City Teen Club that was held at the North Oakland Recreation Center that is now called Studio One. I spent many Sunday evenings there. Tragedy struck during April of my Senior year. Dr. Martin Luther King Jr. was killed. All Oakland schools were then closed down for the day. I was on the Scribe staff at the time and I remember all of us taking great pains to decide what the banner headline should say. 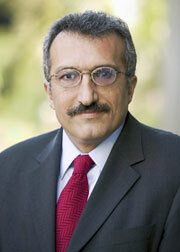 Marshall Friedman was our Scribe advisor. I must also mention my 10th grade World History teacher, Mr. Dale Curtis, who first helped me question the Vietnam war and opened us all up to more points of view. I’ve heard Parker Merrill is still at Tech – in our day he was a young cool teacher and he had a pony tail! Being a part of girl’s sports was important to me. In Mrs. E’s gym class we wore regulation blue gym suits – blue shorts with elastic in the legs and shirts with snaps. You had to have a safety pin on each side of your collar to get full credit and avoid penalties called “burpies” (squat thrusts). If you didn’t meet the requirements or if you were late or missing part of your uniform, chewing gum or mouthing off you had to do 30 burpies! The Girls gym was on 42nd street behind the bleachers next to the tennis courts. I still run into women from that era and we all remember those burpies. I also remember being an “IWE” in the gym. It stood for Inside Work Experience so I took an extra period of gym to work as a helper. This was perfect for me because I wanted to be a gym teacher in the future. The school was supposed to have racial integration. I was in a mixed circle of friends, but overall there was a lot of separation. 1/3 black, 1/3 white, and 1/3 “other” as I remember it. I was in academic classes with mostly Asian kids and these classes were tracked. Inaccurate assumptions may have been made based on racial stereotype. The only class I remember not being tracked was 11th grade World History. Other than that, all my classes were tracked. Most of my friends were from P.E. or after-school sports. I still see Kathleen Lowe, Sheila Stauder, and Eileen Lum. Another form of social separation was that the “Foreign Born” program was in the Tech basement. Those students seemed to be kept separate and somewhat out of sight even. There was also an “EMR” program (Educable Mentally Retarded) and these students were not integrated with the rest of the school, either. Tech had a number of blind students, I think in partnership with the School for the Blind. Steve Welsh was blind and a champion wrestler and student leader! I remember blind students in swim class also. After graduating from UC Berkeley, I became a teacher in OUSD. I taught PE at Montera Junior High School for 7 years. Then I took some time to get a Masters degree and came back as an elementary classroom teacher at Prescott School in West Oakland from 1982-2009. I loved teaching, but that’s not what I became known for. During that time, I started an after-school program teaching circus arts. Although I retired in 2009, I am still working to support this program, now in its 30th year! Elementary age kids learn juggling, acrobatics, unicycling, stilt dancing and clowning and then perform in the community at all kinds of events, about 50 a year! For many years, I was teaching school all day, then teaching circus after school several days a week, writing grants at night, and taking the kids to perform on the weekends! It was fun but so exhausting. I was finally able to switch my job to full-time with the Prescott Circus Theatre for my last 7 years. We were able to add programs at 6 other Oakland schools so we have about 200 Oakland kids a year learning circus arts. I feel lucky to have happened on something that was so much fun and gave me so much satisfaction. What I gave to students in circus classes was possibly more significant than teaching them to read had been, and that’s saying a lot! Two of the kids I worked with are now on the Prescott Circus teaching staff. Two others are now on our Board of Directors. We were one of the first circus arts programs for youth in the country and now there is a whole youth circus organization with national festivals. Tech was my first exposure to kids that had cars. As soon as I turned 16, I got one. Some kids raised their cars up, even as high as 3 feet, off the ground. I didn’t raise mine that high, just about 6 inches. A lot of my friends would put different tires and wheels on their cars. Cruising was a big part of the summer. Of the teachers, I remember Tay MacArthur. He tried to make education interesting. He’d get everyone’s attention by drawing a big circle on the chalkboard and then he’d start talking and filling it in with whatever he was telling us about. I remember he learned the kids’ names really quickly. He was the teacher who had the most impact on most of us – he actually cared. Prior to attending Oakland Technical High School I attended Elementary and Jr. High School in Berkeley . My parents purchased a home in North Oakland during my 8th grade year at Willard Jr. High School. 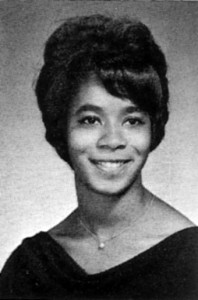 After graduating from Willard, my parents enrolled me at Oakland Technical High School (Tech). “All right, all right I’ll schedule you for math, but you don’t need it,” he said. While he was completing my class schedule I was reading a flyer on his bulletin board. “How can I join Upward Bound?” I asked. I took the application home, completed it, and got my mother’s signature. The next day I asked the school secretary to mail it for me. One of the courses I enrolled in at Tech was Public Speaking. I had an excellent teacher who taught me how to approach and stand at a podium, find something to focus on at the back of the room while appearing to be looking at my audience, not to say um, how to project my voice, how to organize and reorganize my thoughts while speaking, how to use one capitalized word on each queue card to spark my memory, and how to speak both prepared and impromptu speeches with influence and persuasively. I felt verbally empowered after mastering the class objectives of pronunciation, enunciation and articulation. My speech class prepared me to meet with my counselor and articulate the courses I needed to be enrolled in for my junior and senior years. It also gave me the life skill for speaking as a teacher and counselor for the California State Teacher’s Retirement System. When it was time for me to sign up for my junior year courses, I asked both an Asian and white student in my homeroom if I could see their junior schedule of courses. After comparing their schedules I found that they were identical, so I filled my schedule out just like theirs. However, I hadn’t taken all the science courses required for college. I had been enrolled in biology my freshman year, and hadn’t taken a science course in my sophomore year. I still needed to take physiology, earth science, and chemistry. I wasn’t going to have enough time to take chemistry. I told my homeroom teacher, and she told me I could petition to take extra units. I petitioned to take chemistry and it was approved. Doors of opportunity began to open for me while I was at Tech. My physiology teacher, Mrs. Mary Torrey helped me get a job with the Work Study Program, as a switchboard operator. As an operator I spoke for two hours continuously. After I finished working on the switchboard, I was so fatigued, I nothing to say in my classes and at home. Reading, playing tennis, working, and running track for a city team became my whole world. I thank Mr. Bates to this day because I now know when to go into the “talking pretty” mode on the phone for my personal gain. I have been wearing the vocal mask on the phone since I was sixteen years old. As a teen, I vividly remember the days that whites perpetuated the ugliness of racism by putting black newscasters and actors behind screens and not putting prominent black musicians photos on album covers, and used black voices for financial gains. Blacks have gone through, around and under racist roadblocks to achieve their goals in every profession you can imagine. Unfortunately in the 21st century, racism and prejudice are still alive and well, and blacks are still celebrating the first black in this or that profession. In addition to giving me the practice to communicate and articulate myself like the white folk, my work study job afforded me the opportunity to purchase some of the things I needed and to defray some of my Mother’s monthly expenses. 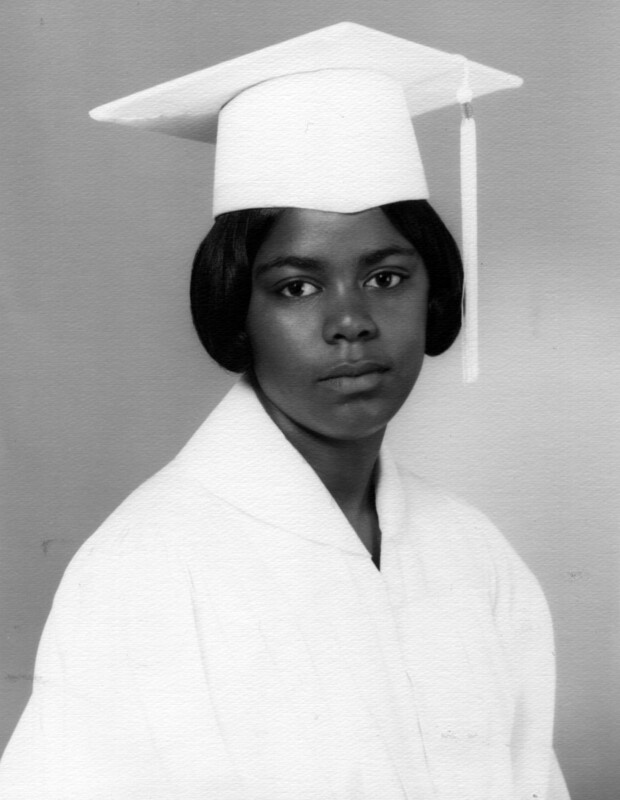 After my father’s death, watching my mother tirelessly work so hard without holidays or vacation days, medical and dental benefits, instilled in me the importance of a college degree. I knew that my education would dictate the type of job opportunities I would qualify for and the type of lifestyle I would be able to afford. There was no way I was going to allow my counselor to deprive me of qualifying for college. At the end of my junior year, I received a letter from the Upward Bound Summer Program. I was accepted to the program at Mills College. My mother accompanied me to the campus for student registration, on Move- In- Day, and she attended the Parent Orientation. I had never been allowed to go for a sleepover in my entire life, and the thought of living away from home was both exciting and scary. Mills College has a beautiful campus. While on campus, it didn’t seem like I was still in the City of Oakland.. There were so many trees , beautifully cut grass fields, bridges ,and streams throughout the campus. The section of the living quarters where I lived was called the ” Lettuce Leaf.” I don’t know why they called it the lettuce leaf. I guess because there was a long hallway with rooms on each side of the hallway. There were lots of windows in-between the rooms and at the end of the leaf was a large study room, with a huge Bay Window . At night while in my room or study area I could hear the crickets and flowing water of the stream nearby. Students in the program were enrolled in college prep classes and attended fine art performances. Counselors prepared us for the ACT exam and helped us with our college essays and applications. They also told us what courses we needed to take in our senior year in preparation for college. After the program I took control of all the decision making for my education. Several exciting things happened during my Junior and Senior years at Tech. I worked part-time as a secretary for Kaiser Chemical Corporation and qualified for the 1968 Olympic Track and Field National Trials for the 100 meters run. When I graduated from Tech, Kaiser offered me a secretarial job in Spain. I declined Kaiser’s offer, because I was accepted at San Jose State College. I studied abroad in Florence, Italy, during my senior year at San Jose State College. After San Jose State, I graduated with a Masters degree from Stanford. Years later, when I returned to Tech as a teach and Student Activities Director, good ole’ Mr. E. was still there. For two years, I worked side by side with him and many of the same faculty that once told me I wouldn’t make it. I could only imagine how they felt first recognizing me as a peer, then seeing me move up in the Oakland Unified School District to become a Multicultural Education Coordinator for all 98 schools, and later becoming a California State Teachers’ Retirement System, Counselor, Specialist. Like all people, I’ve faced many challenges in life, but because I was able to speak up to the discrimination I received at Tech, I was able to find my voice. 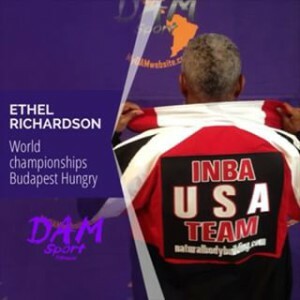 Ethel Richardson, Oakland born and raised. 65 years young, breast cancer conqueror. 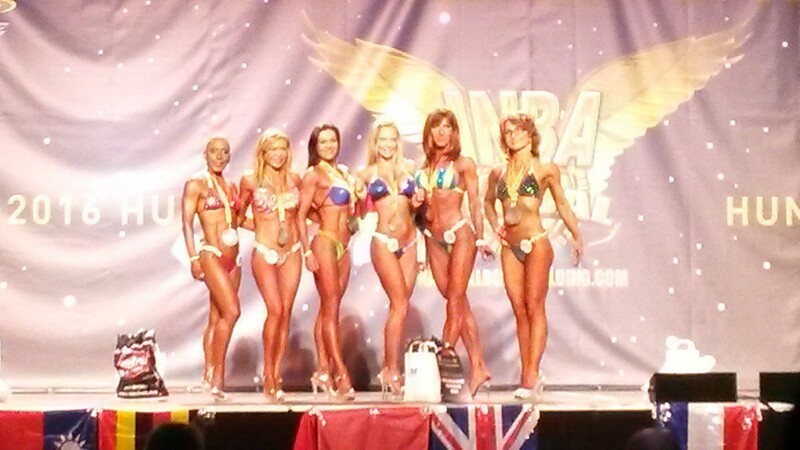 Loves to motivate and inspire others to be their best. Trains at Dam Sport Fitness. 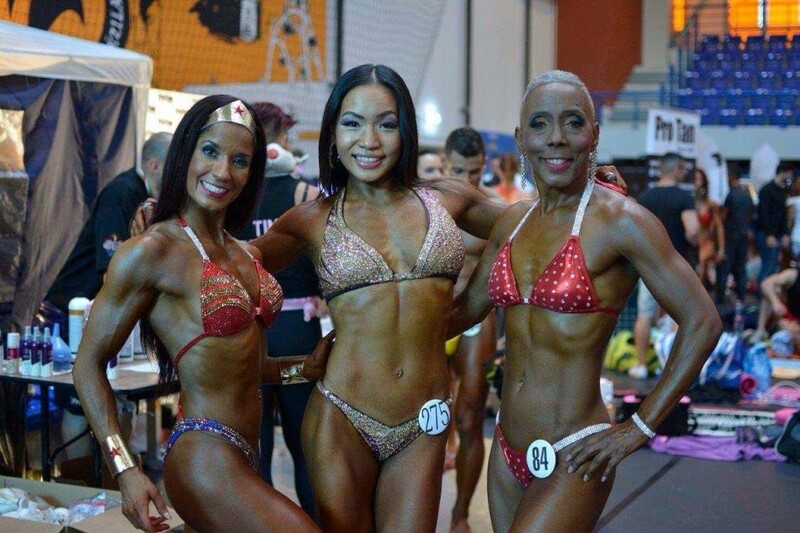 Ultra Masters Gold Medalist Ms. Olympia 2015, 2015 Night of Natural Champions Ultra Masters first place winner, 2015 USA Ultra Masters Second place, and 2016 Ultra Masters Northern California. I had the best time in high school. I enjoyed every minute! I never understood why people cut school. All my friends were in school. I was also involved in PE — I ran track. And I was a pom-pom girl and my senior year, I ran for head cheerleader and got it my last year. We even went away to a competition and won. I still do the cheer “I saw Sister Lucy” which we made up and used to practice. We practiced all summer to be ready for football in the fall. If they missed practice, I made them pay a fine. We sang the Tech song at the games and at assemblies. Pom-pom girls danced and used pom-poms. 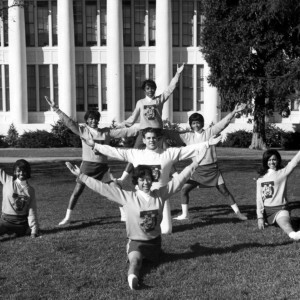 Cheerleaders had precision movements and wore skirts and sweaters. The head cheerleader in 1967 was a guy, but the pom-poms were always girls. There were 5 or 6 of us, all black and one Japanese girl. More white girls were pom-pom girls and more black girls were cheerleaders. I was in college prep and I was usually the only black student in the class. I was friends with everyone. It wasn’t uncomfortable at all being the only black student. The teachers really liked me. I hear talk of racism, but I never experienced that. I was the only black Girl Scout in my troop growing up. I was used to being around white people. Mother was a domestic, and I knew those families. The Black Panther office was on Grove near 44th, and I lived on West. My sister went to school with Huey Newton. 5 sisters and 1 brother all went to Tech. One of my sisters was a cheerleader but they were less involved. None of that affected me. I didn’t get caught up in that. Not my thing. I remember people were acting crazy after MLK was shot, tearing up the school and being stupid. I never felt that violence was the answer. Sometimes people do things just to get attention. I was unusual in being friends with everybody. I had black, Asian, Mexican friends – all kinds. I remember MacArthur drawing perfect circles on the board to describe US history. He was cool and always comes to our reunions. MacArthur called me “6 ounce” because I was little. I had a good relation with him. Mr. Elridge – science teacher. Just fun. It was fun to learn. Teachers made it fun to learn. Miss E., the gym teacher – doing burpies back then when she was our teacher. Aileen is likely in touch with her. I had really good teachers. Mr. Whayne, drama teacher. Worked on West Side Story. Everybody liked him. He was really down to earth. Frank Lettich taught English. Mary Smith, who is now in Piedmont at Piedmont Gardens since having a stroke, was a math teacher. Ms. Folberg taught dance: jazz and modern dance. Performed for the school. We used to have to swim to graduate, but dance counted for me. I got out of it and didn’t learn to swim until I was 28 years old. Principal Mr. Lucas – kids liked him. All the teachers were well-liked. There were over 500 in graduating class. It was a 3-yr high school then. Someone dressed up as Bobo, but not a real dog. 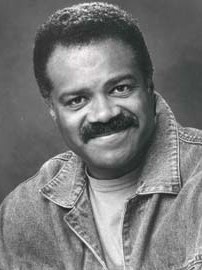 Ted Lange ’66 (Love Boat) – I dated him. We’re still friends to this day. He’s still acting. Writing. He and his brother Michael write plays and he produces. Sadie Hawkins [was the dance] when you could invite the boy. I invited Ted Lange, as a friend. It was in the girls’ gym. Pointer sisters – Pat Pointer was there with me but we haven’t been in touch in years. They were at the Circle Star – big theater with revolving stage in San Carlos. Ruth the oldest was married to a friend who played in a band called Phoxx in 70’s. I was student representative, maybe one time. 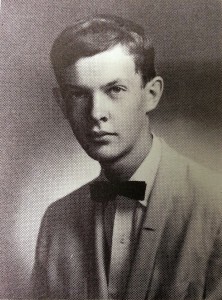 I went to Jr. High at Woodrow Wilson — Emerson, Woodrow and Tech. Life lessons learned at Tech: Enjoy life and accept people just as they are. Don’t label and judge people. There is good in everybody. Look for the good. 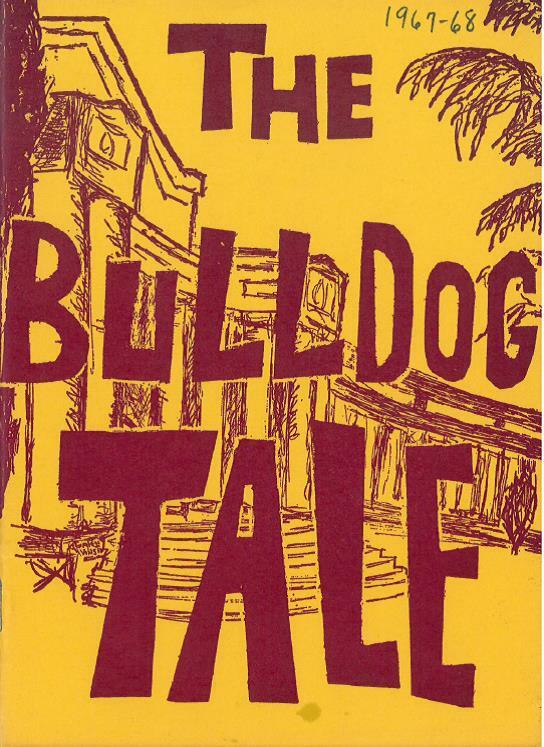 Proud Bulldog: means it was a school where I learned a lot about life as far as creating your own reality. I believed I could do anything I wanted to do. I felt that from my teachers who always gave me positive feedback on how I related to different people. Let me see that people will see you as a good person, from any walk of life. I went to Cal State Hayward and studied PE with emphasis in dance. But I hurt my back in car accident. I went back for my AA years after from College of Alameda in PE. I worked at Kaiser in HR; retired in 2010. I have lived my whole life in Oakland. The rest of my family was born in Mississippi. My aunt moved my family here from Mississippi. She was the one who put me in dance classes when I was 6. I did shows. I was confident. I did bodybuilding in 1985. I have always been active. I was on the softball team at Kaiser. I dance the whole night at reunions. I am still that one that can dance and move. I have 14 nieces and nephews and lots of great-. I lost my sister 2 years ago. I spoke at graduation. I can’t remember what I said. The dance teacher gave me the solos because I wasn’t shy and she knew I would do it. The old girls’ gym was still there. Boys’ gym was there. I loved to watch ROTC do their drills. They would perform. I got an award for school spirit. I got a framed drawing of the school, and I still have it. I just love it. I passed it the other day and saw the kids on the grass. It still looks wonderful. I actually never graduated from Tech. I was detained on a Friday and kicked out of school the following Monday. I am probably the only student ever expelled by the State Superintendent of School. The local one was too afraid to sign my letter of expulsion. On that Friday, the police, in cooperation with the school, raided the restaurants across the street where kids often ate lunch. They knew it would cause trouble. So I dismissed the school. I went from class to class and told everyone to leave. Everyone followed me outside. Were you already well known? Why did they listen to you? 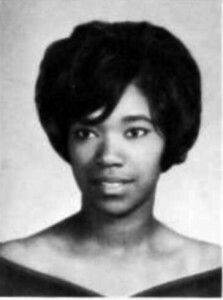 In my junior year, in 1967, I formed the very first BSU (Black Student Union) for a high school in the country. I was also part of the development of the Black Panther Party. I started as a bodyguard for pretty high profile people like Stokely Carmichael. 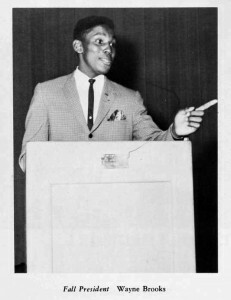 Later I became a spokesman, which I was still in high school, for the International Chapter of Black Student Unions. We had conferences in the Bay Area and people came from around the world. I was a spokesman for that and for the Black Panther Party the following year. After my expulsion from Tech, I ran the Black Panther headquarters which was located in Berkeley. I took my GED and went on to Merritt College (when it was on Grove St.). I left the Black Panthers in 1969 when it got crazy. People got injured and that shouldn’t have happened. I was on the Central Committee of the Black Panthers when I quit in 1969. It was going in the direction of violence that had no meaning to it and people were getting hurt. Because of COINTELPRO (an acronym for COunter INTELligence PROgram) all the infiltration and surveillance. I had 3 FBI agents assigned to me all the time. They told me. They talked to me and told me that. People on my side back then didn’t expect to live. And a lot didn’t make it. They were shot and killed. Do you know how many Black Panthers were killed? I don’t know the number, but I’d say dozens. I quit not in fear of my life– at that age, you don’t have that fear. I was more afraid of being injured. I didn’t worry so much about being killed. Most Black Panthers were dedicated to what they were trying to do. The Black Panthers created a lot of programs. The government took them over or stopped the programs. They were threatened by what we were doing. Within our own communities, we were creating businesses that actually helped the community. We created the first free health clinic in the whole country right here in Oakland. The first doctor is married to Marty Price’s sister. He is still practicing. Did you grow up right here in Oakland? I was raised in a military family. My dad was in the Air Force and had been in the army before that. I lived in Spain as a kid and we moved quite a bit. How did your parents feel about your involvement in the Black Panthers? They had their fears, of course. There was a lot for parents to be afraid of. I found out years later that they had started the first NAACP chapter in California in the 50’s. They didn’t tell us about that back then. There is a photo of them at one of the early NAACP meetings with Shirley Temple holding my older brother on her lap. 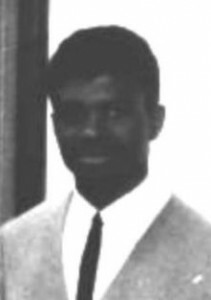 My uncle was the first black professor at SF State University. And my youngest brother’s godmother in the 50’s was the first black school counselor for a junior college. That was in Vallejo. We also have professional athletes in our family and one of my uncles was a Red Tail. He is one of the only 3 Tuskegee Airmen still alive. He was honored at the White House a few years ago and even went on a tour promoting the film Red Tails made about them. There were a lot of connections between Tech and the Black Panthers. 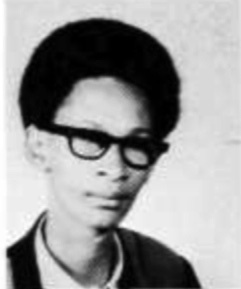 Huey Newton of course and the 6th member of the BP’s was Oleander Harrison, my older brother. 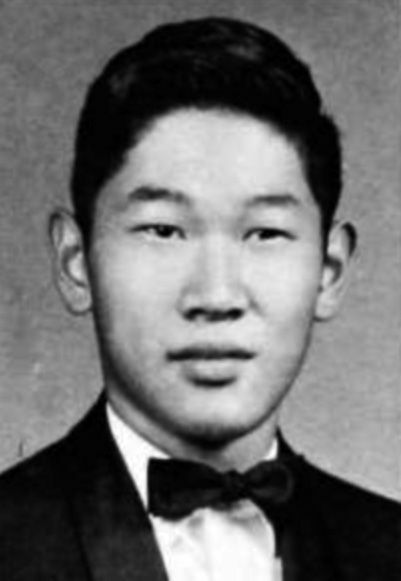 He would have graduated in ’67. 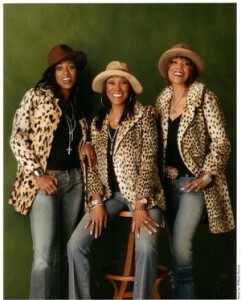 The Pointer Sisters were members too. There were quite a few. 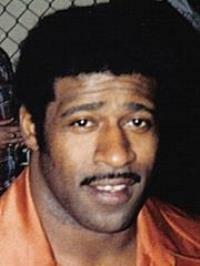 I have another brother who was class of ’69, Larry Harrison. And Joan Lewis was the first female member. 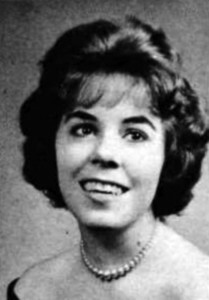 She was in the class of ’67 I think. We are still friends, mostly on Facebook. She is an artist and violinist and teaches workshops. She is still here. I retired from Channel 2 where I worked for 37years at the technical director. Tech didn’t predict that. They said I should be a cook or a janitor. Those were the career paths they recommended for me even though I was really good in math. Math was my best subject. I am also a professional dancer. I’m still dancing and competing. I have 16 grandkids and one great grandchild on the way. Tech led the nation. It even led most of the colleges. We created programs that others followed and copied. 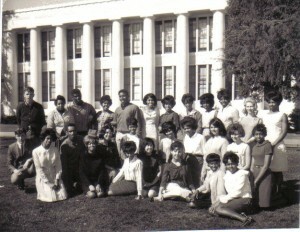 SF State had the first BSU. Then we started it at Tech and the combination of what they had done and what we did with that at Tech was then used by every BSU. I was the international head of the BSU for colleges. Oakland hired police at that time that had been fired in the south for police brutality. That’s who the Oakland police wanted on their force. Tech was a highly integrated and diverse campus. I am aware that race was of growing importance¬– demonstrations were occurring across the country and it influenced our thoughts about life and who we became. Diversity was my strength; I enjoyed the different people I went to school with and looked for it everywhere throughout my life. We [my group of girlfriends] called ourselves the “heater gang” because we hung out at the heater by the school entrance to check everyone out… I was student body president, part of school politics and also part of the city’s growing issues; e.g. Black Panthers, boycotting grapes. My class demonstrated for open campus and for girls to wear pants to school– we succeeded. I learned public speaking from student rallies. Oakland Tech has never been far from my heart. The many classmates and friends I had during my attendance, remain the very best in my life!! I was from a military family so I always knew that we would be moving. This time, when I entered Oakland Tech in my sophomore year, I felt rooted and loved by so many. Friends!! I begged my father in my junior year (1968) to please let me graduate from here and not take me away! He did that exactly, the summer of 1968. My heart was broken because for the first time in my life, I BELONGED. All of you still remain in my heart and some of my fondest memories…including the boy that threw a film reel at me in Mr. Stephens’ biology class! Although, I have lost touch with my two best friends, Virginia and Gwen, I have never stopped thinking that someday we shall all meet again! I was blessed to have attended the OTHS 40th Class Reunion in 2009 and have reunited with many of my classmates through Facebook. Oakland Tech will forever remain in a special place in my heart. My father was raised in Oakland from age 5, and my mother was born in Oakland. I am bi-racial and it was illegal for my parents to marry in California in 1948 so they went to Washington State. 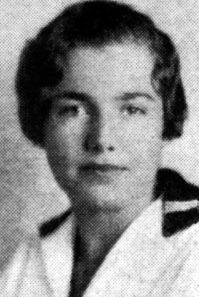 The academic part of the school is a blur, but I was part of a new era when girls who were athletic had an opportunity to learn from someone that pushed you and made you better, like Mrs. “E” or Eichelberger. In 1967 the first interracial dance was introduced and a success at Tech. The day Martin Luther King was murdered, there was a riot in the school. It was a good time, yet unstable as far as political changes in the world. Though my mama Mable was serious a lot, she was also very sweet. 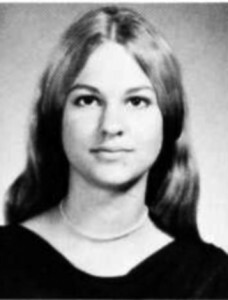 Guys liked her a lot and it was not long before she got married at 16 while attending high school. 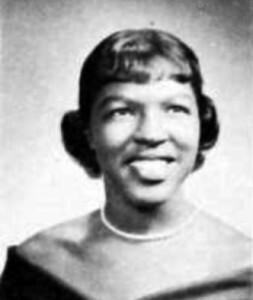 She said, “I did not become a mother until I was 22 years old, see ‘cause I got married to get out of my mama’s house and be grown living on my own.” Mable went on to have three children in her 20s: Albert Smith, Anita Morgan and Maurice Cheatum. Mable, or Mabel as many spelled her name, cooked food for the community, gave many kids a place to stay when their parents got hooked on crack-cocaine, and fought breast cancer for 10 years, dying in 1998 at 47 years old.